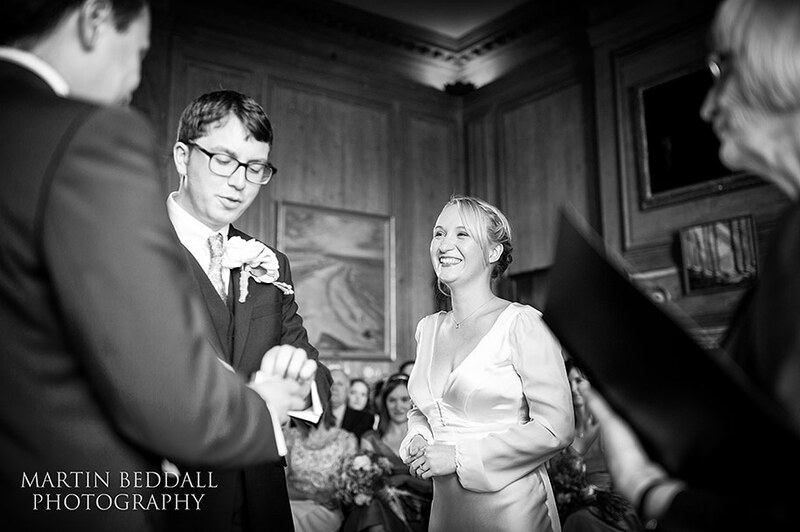 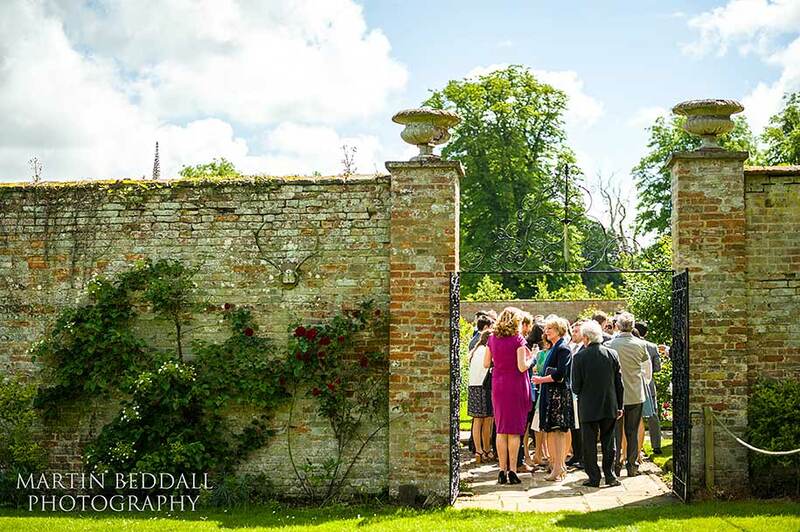 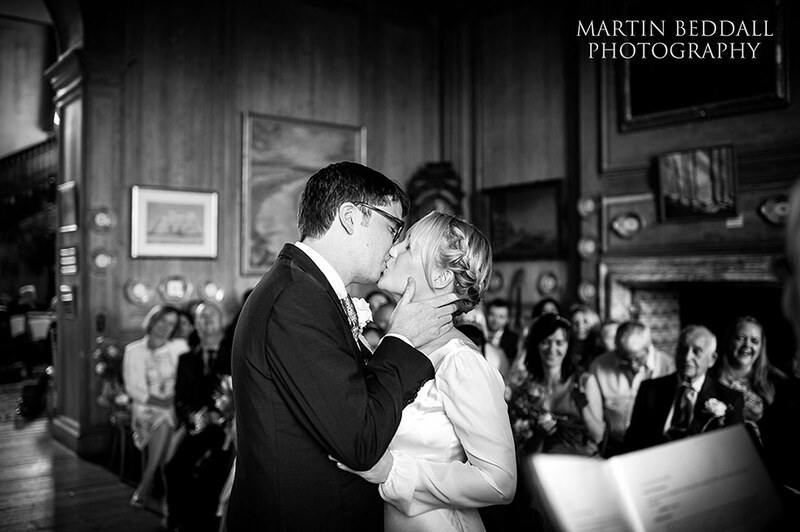 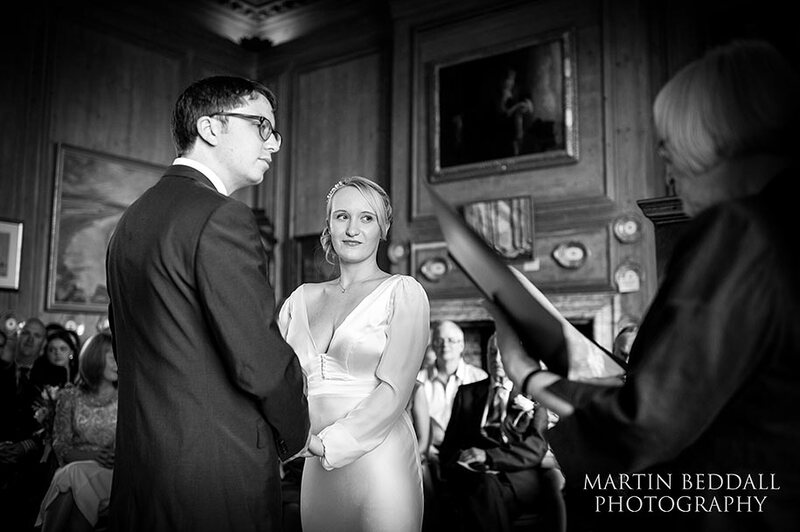 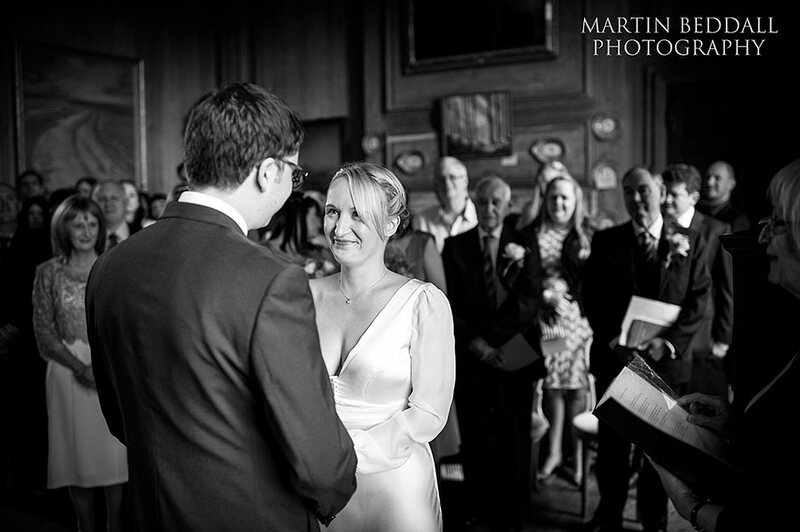 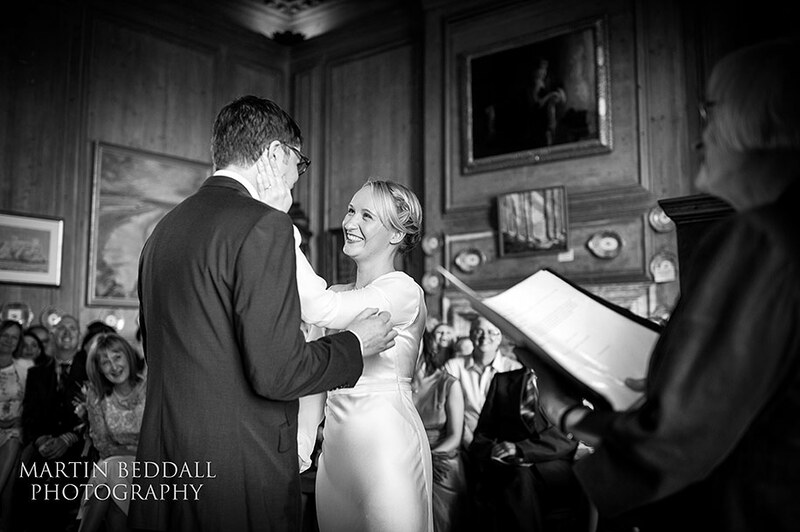 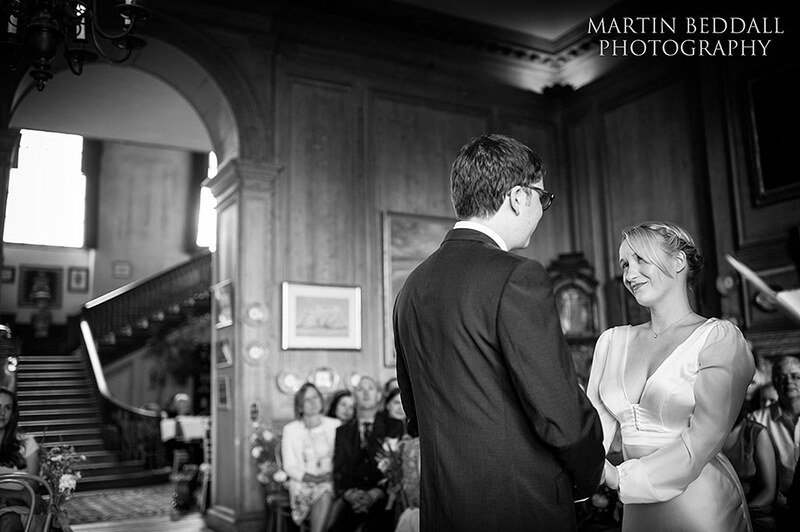 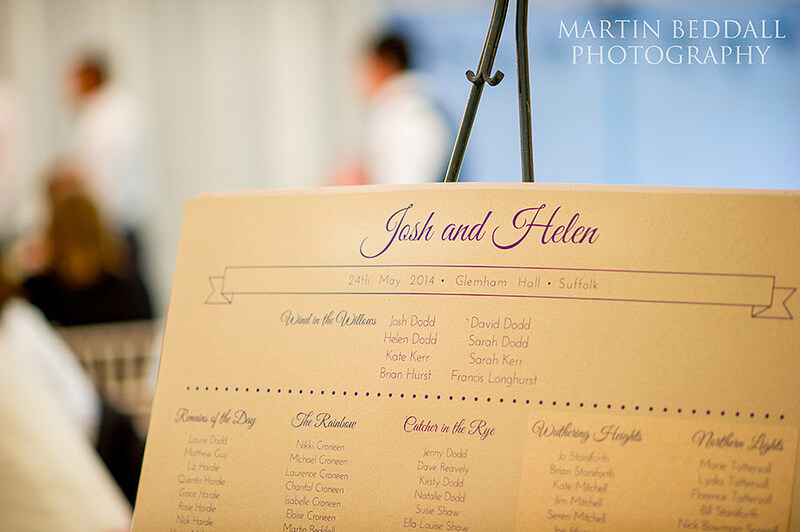 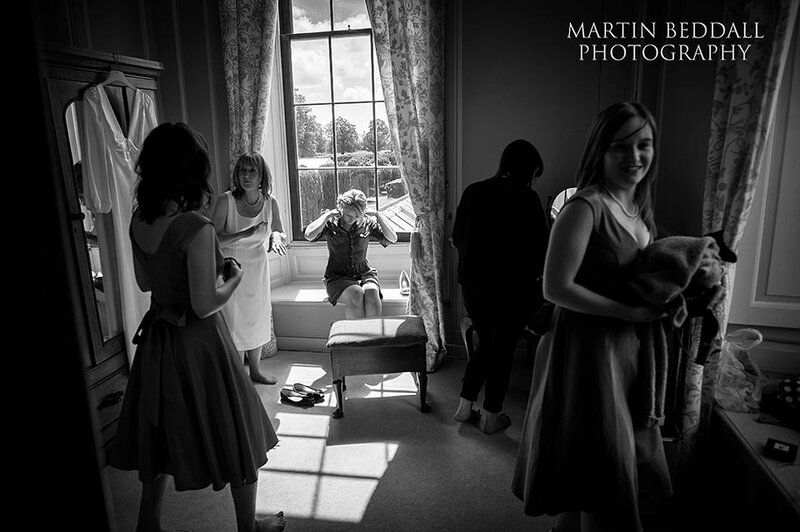 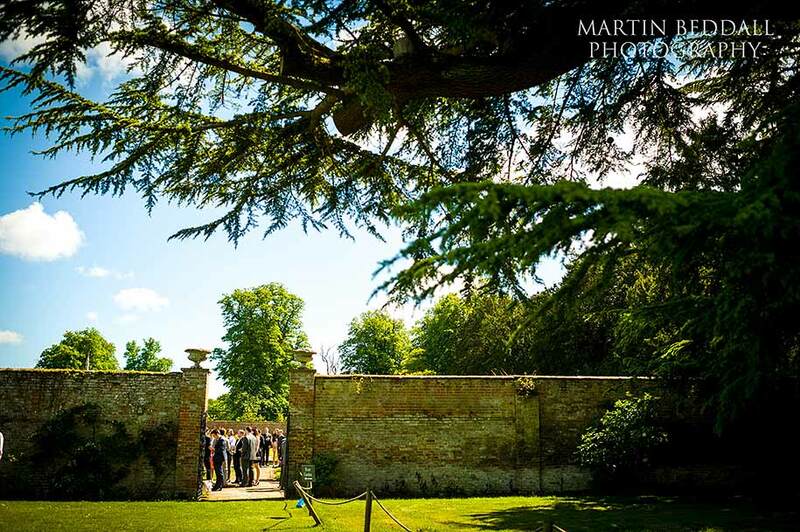 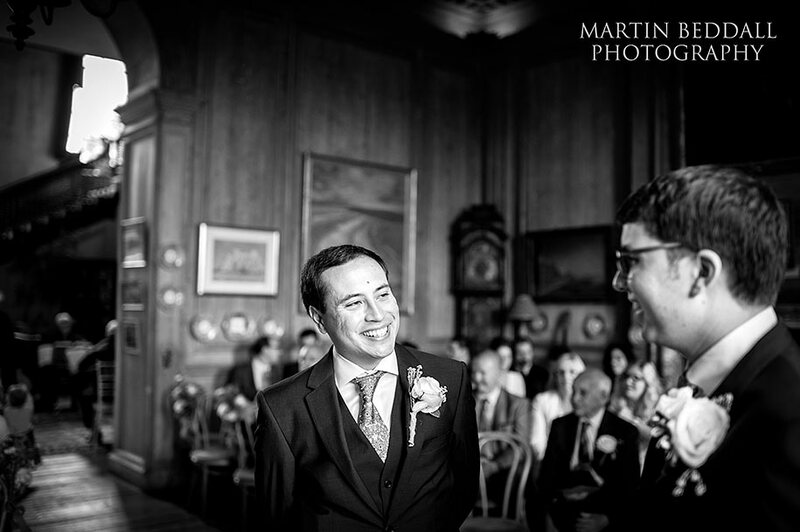 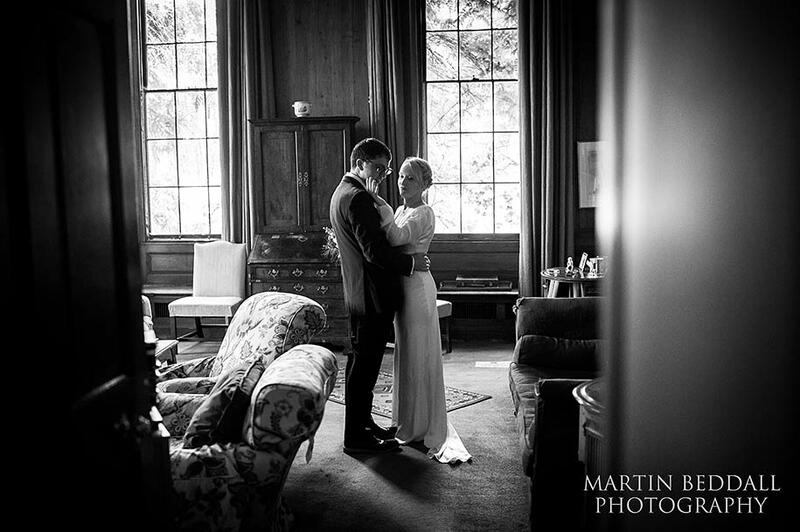 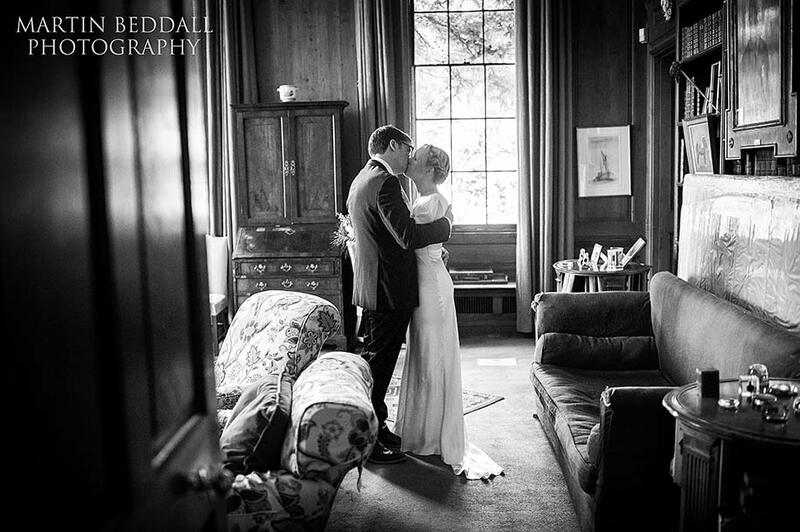 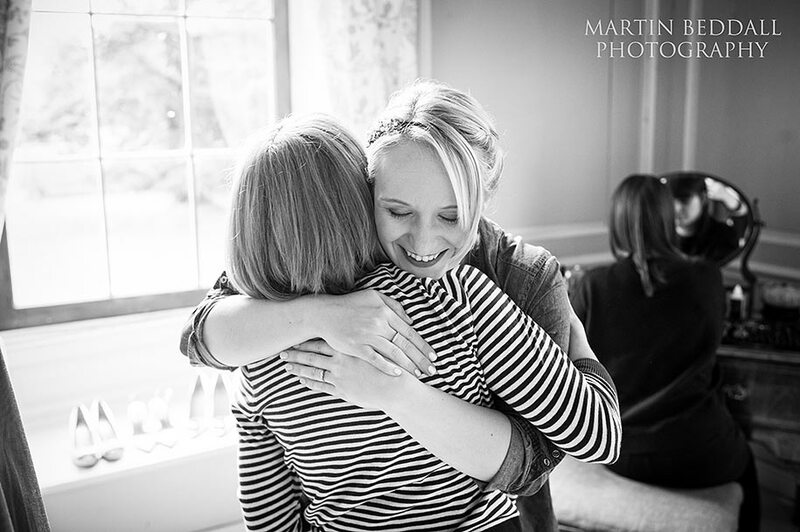 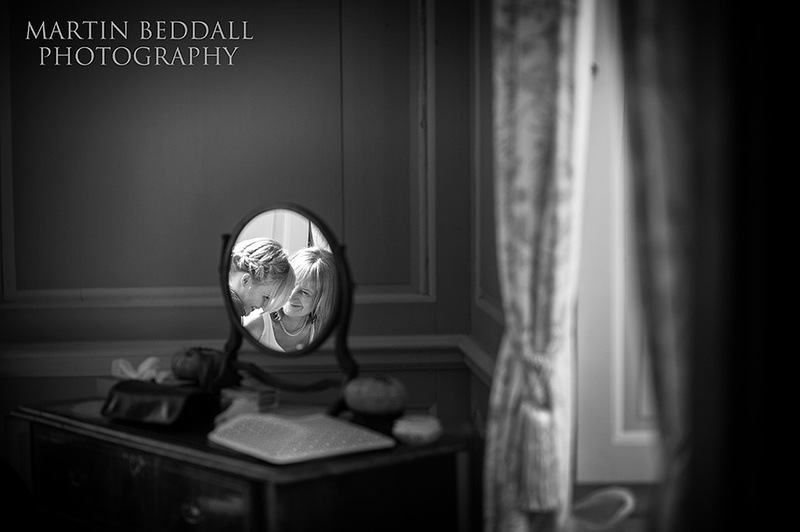 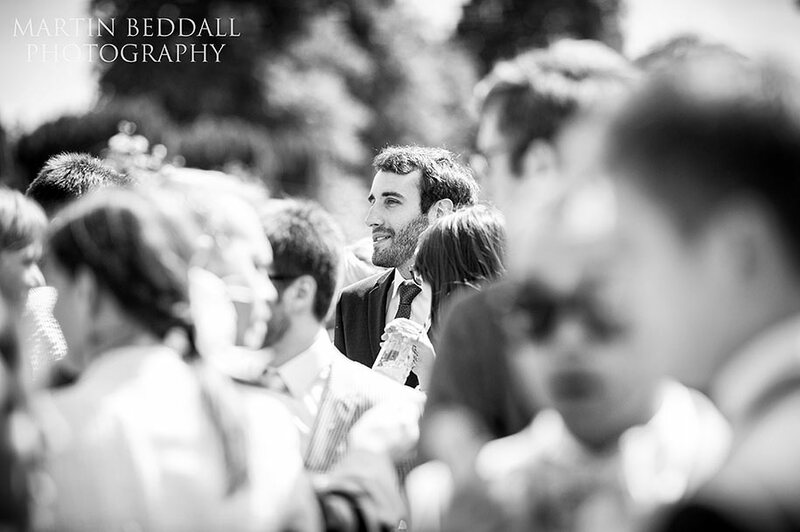 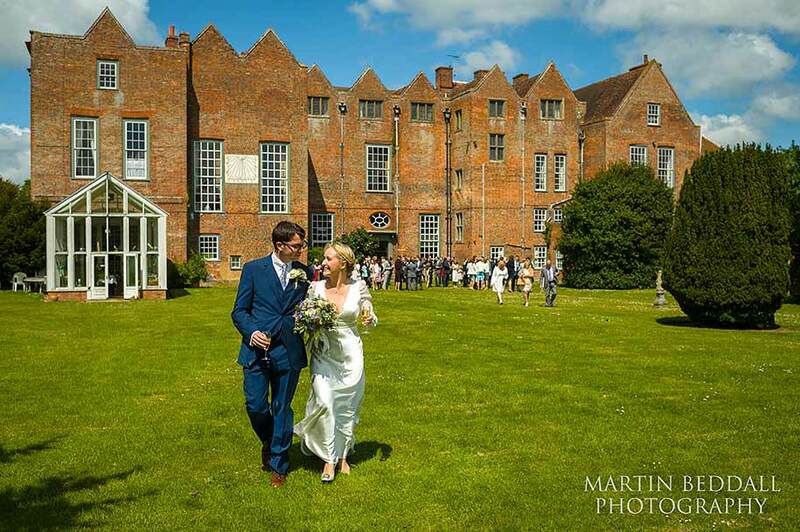 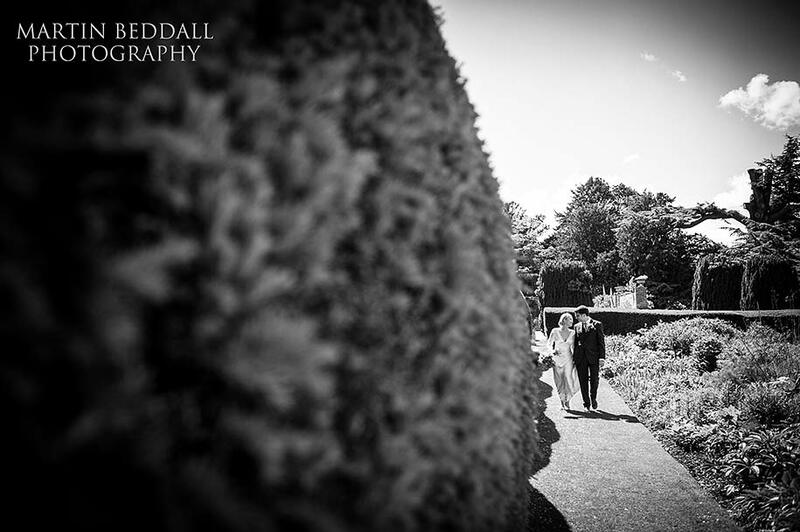 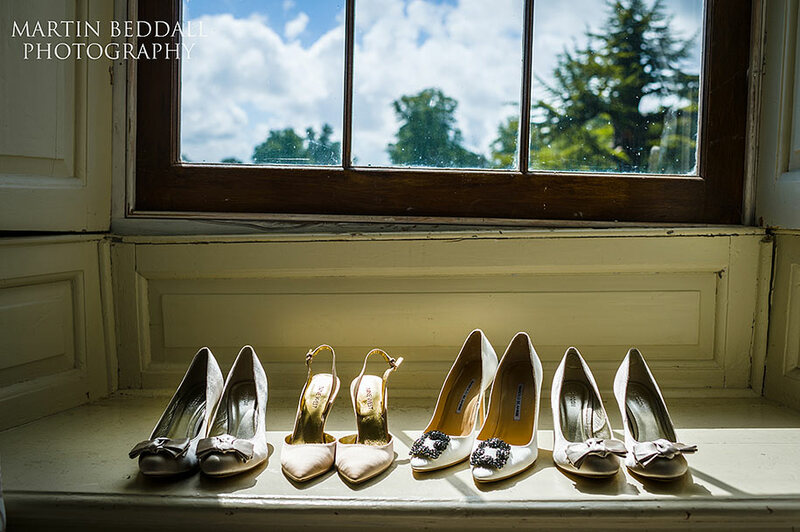 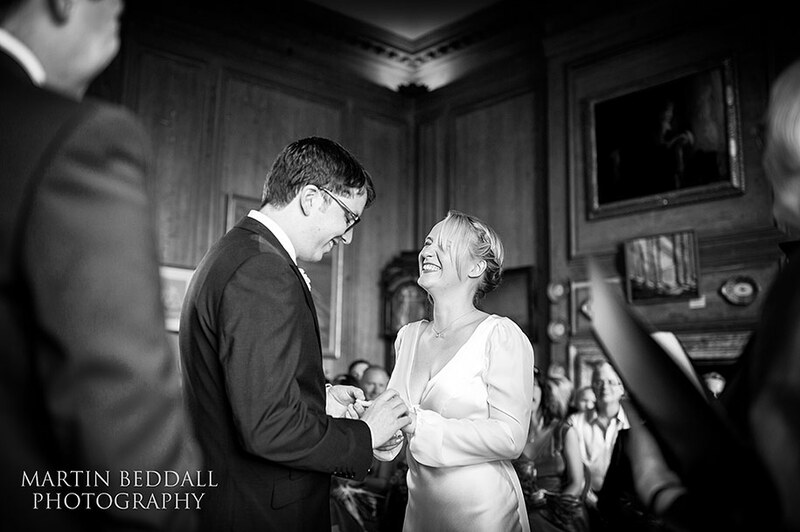 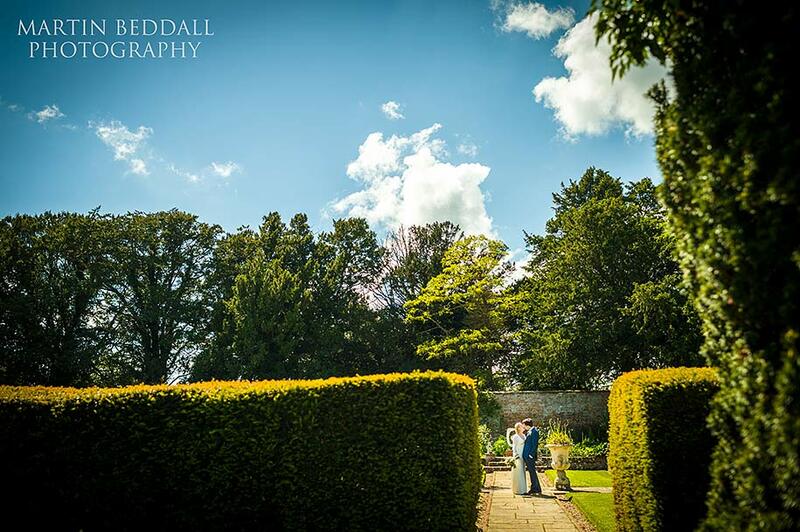 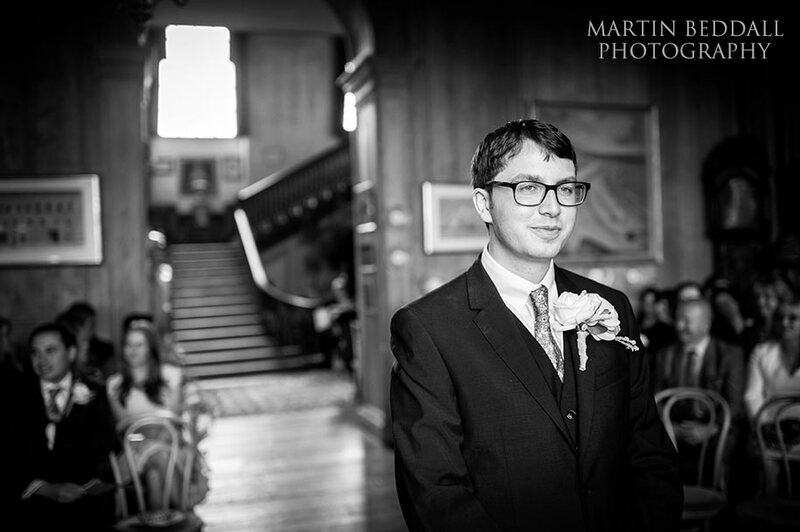 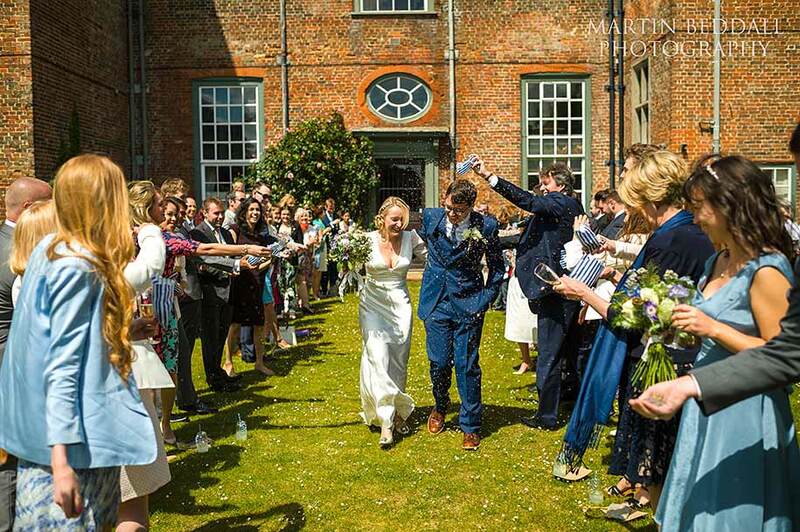 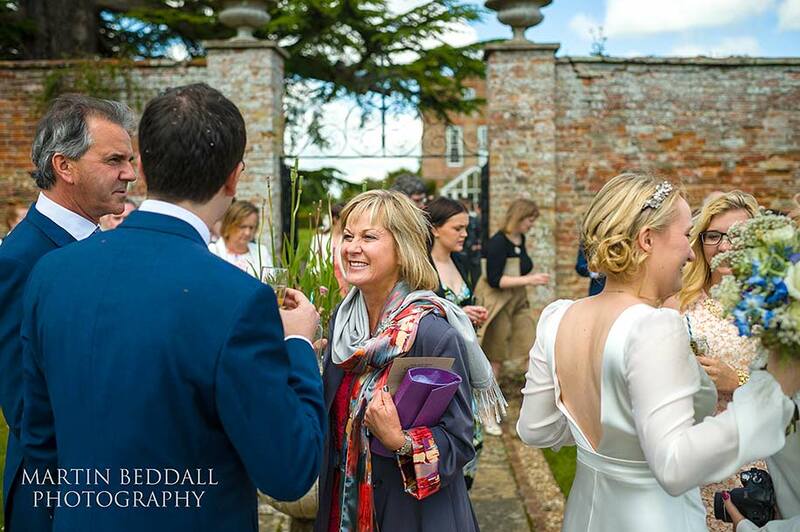 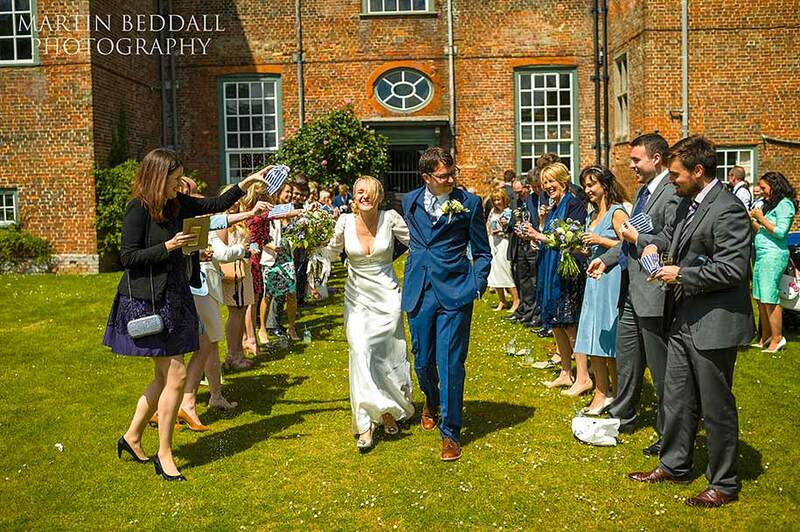 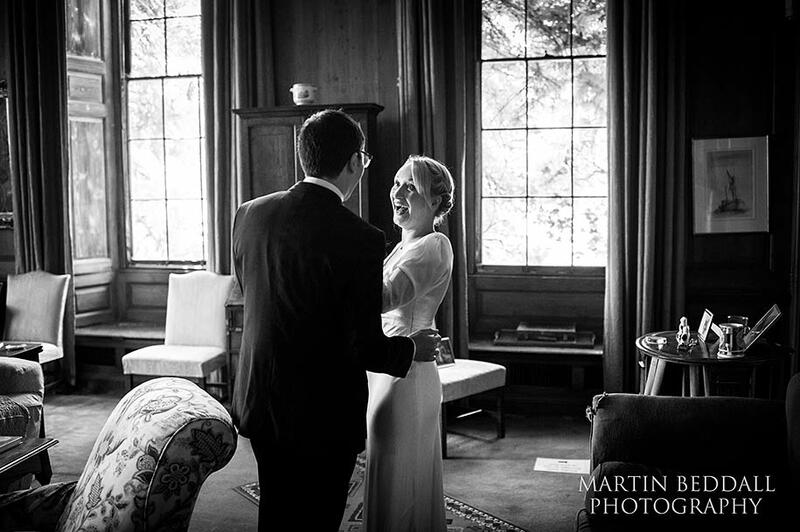 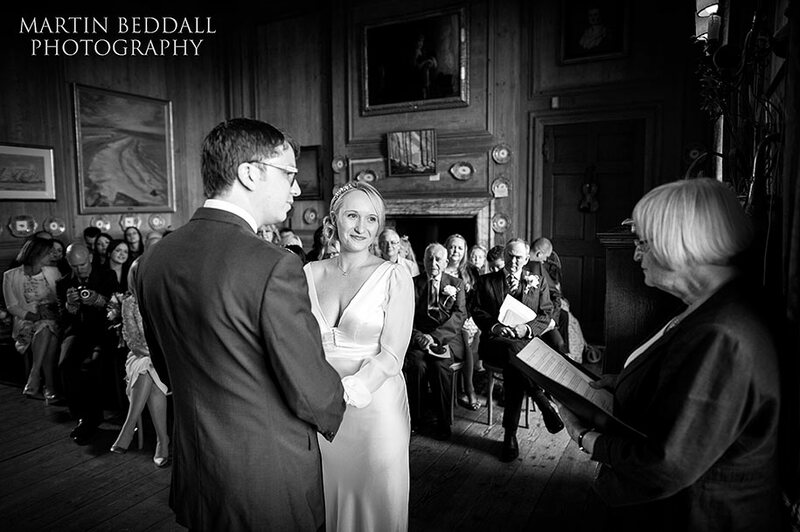 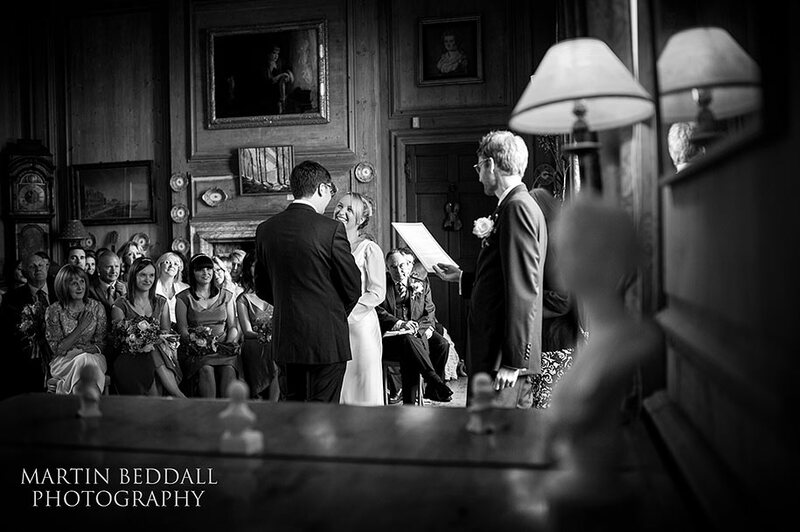 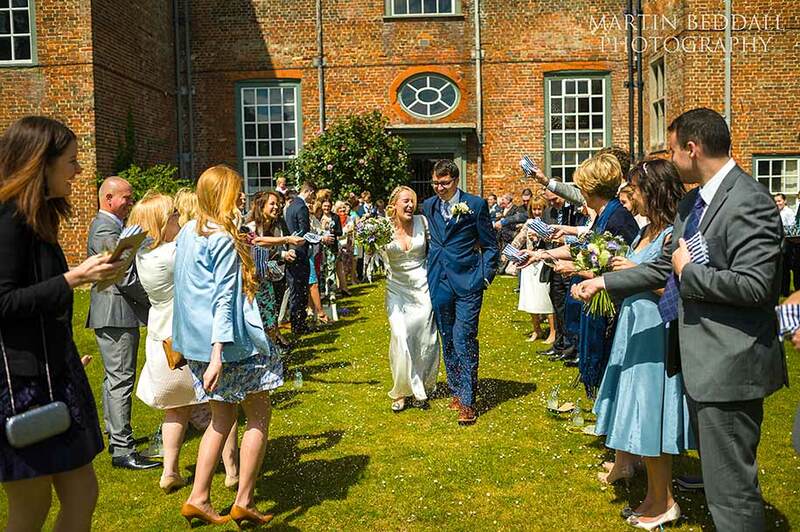 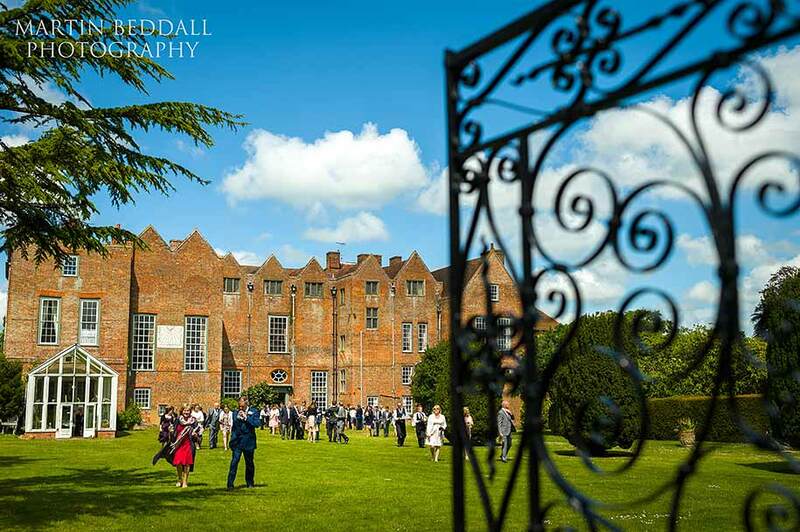 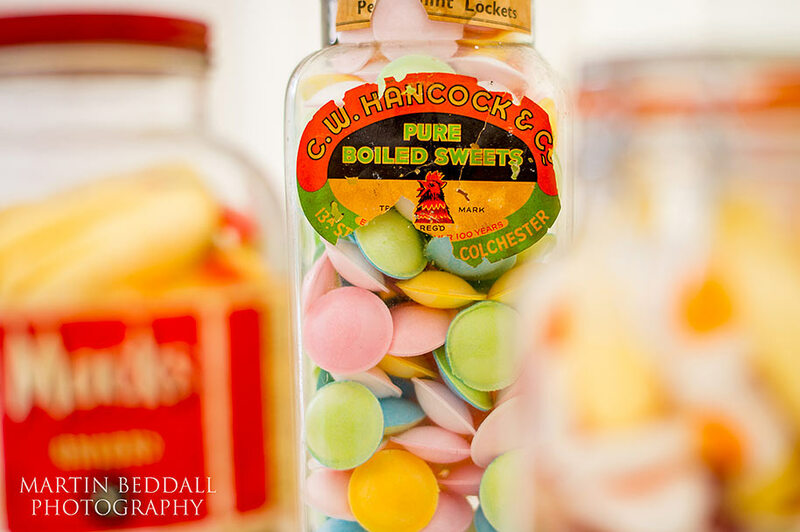 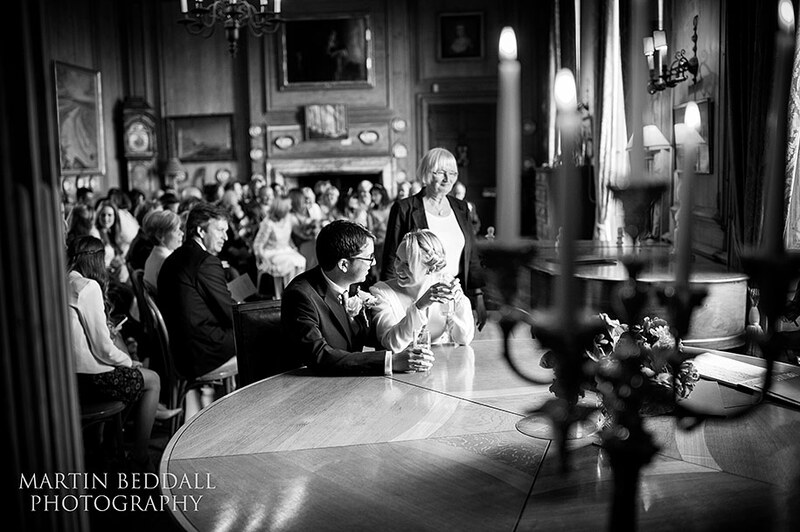 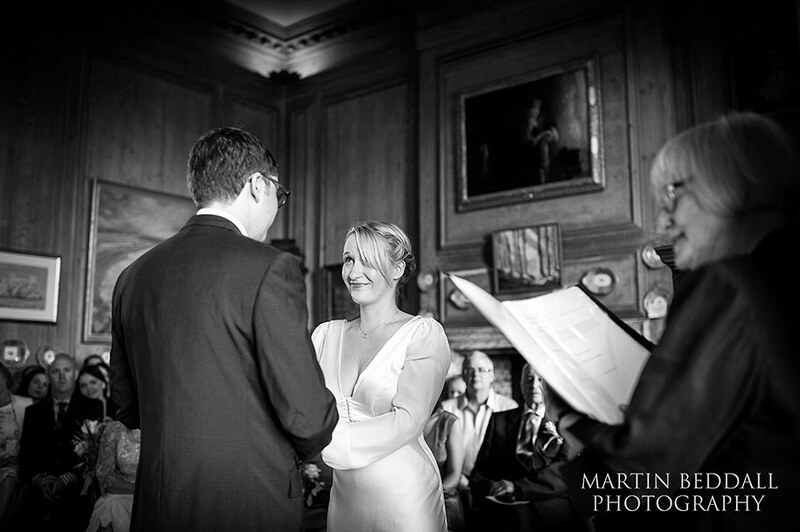 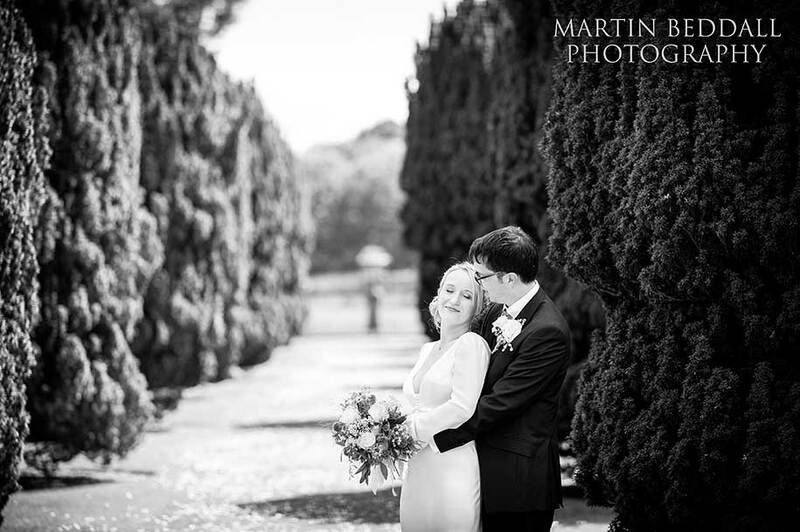 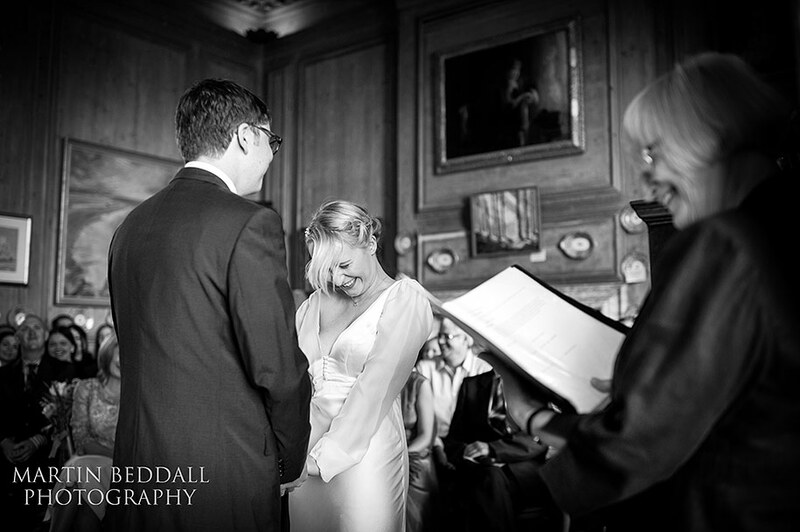 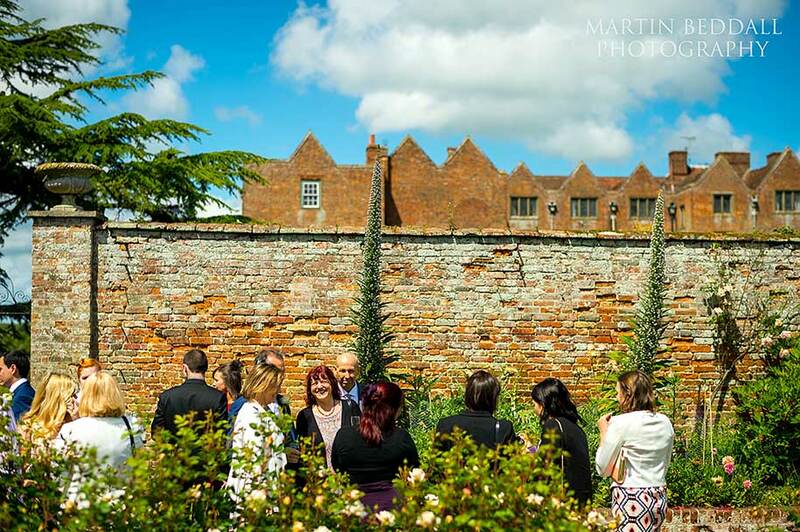 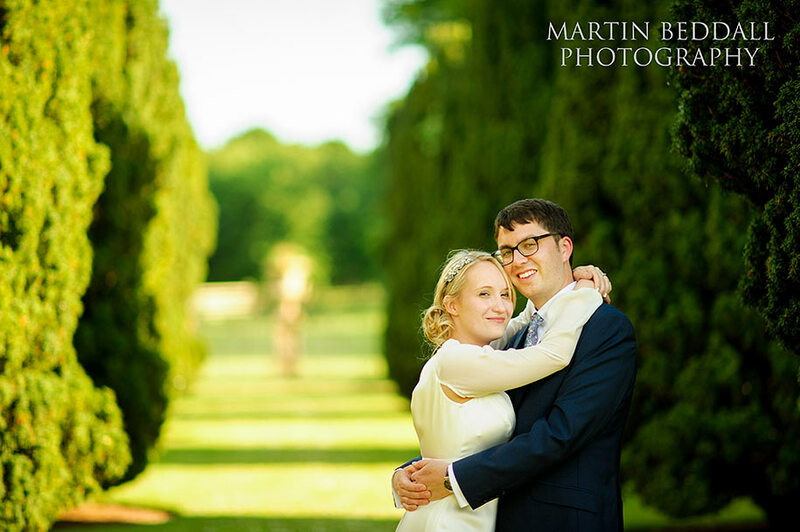 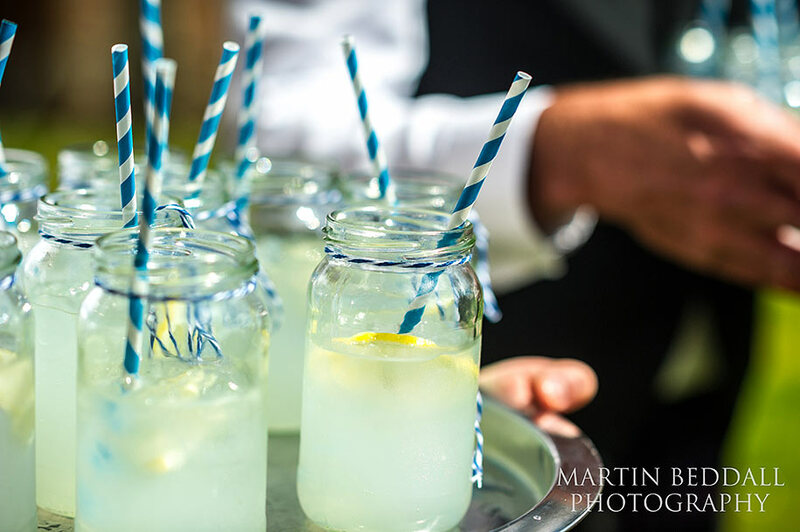 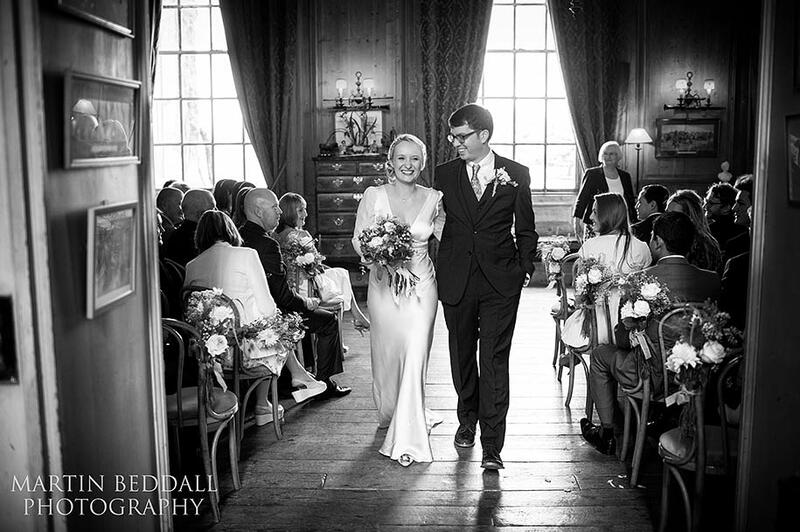 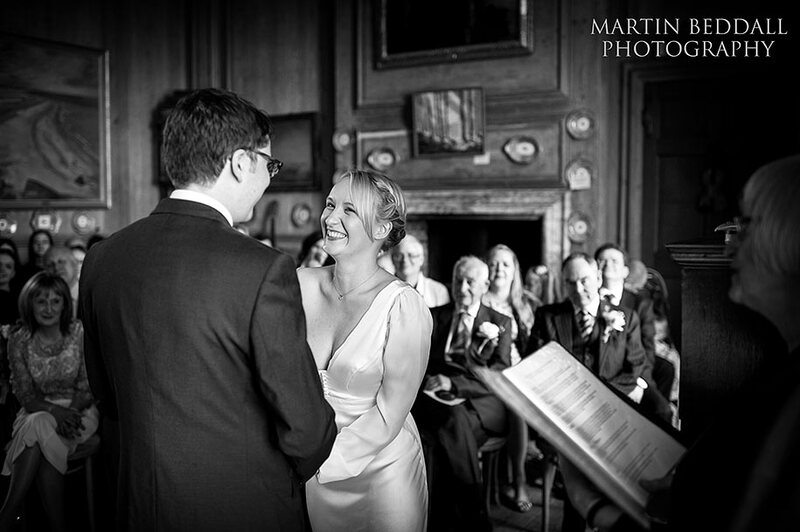 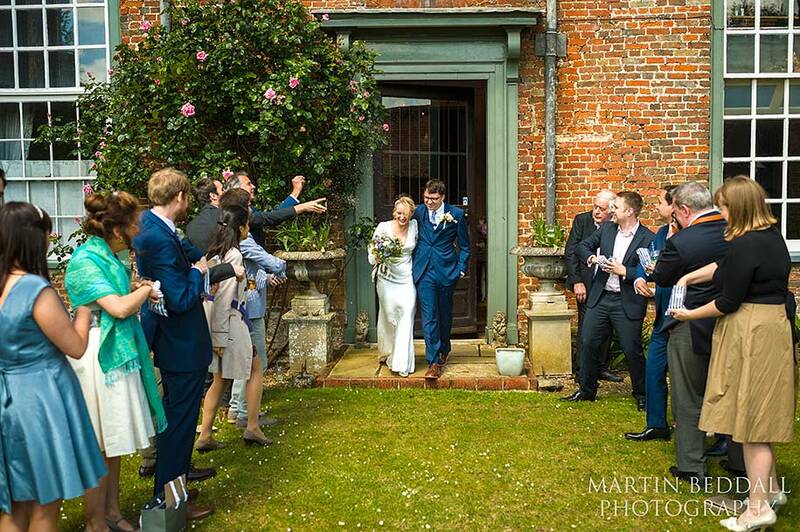 A Glemham Hall wedding in Suffolk for Helen and Josh on Saturday. 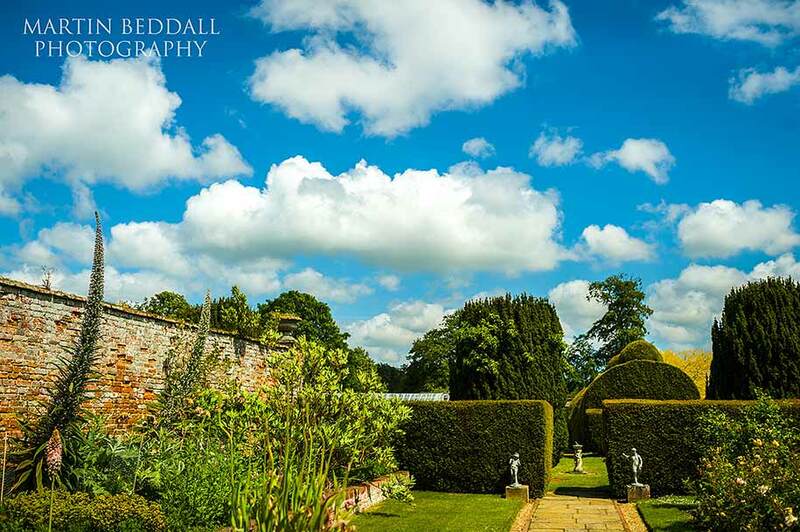 Under both blue skies and torrential rain. 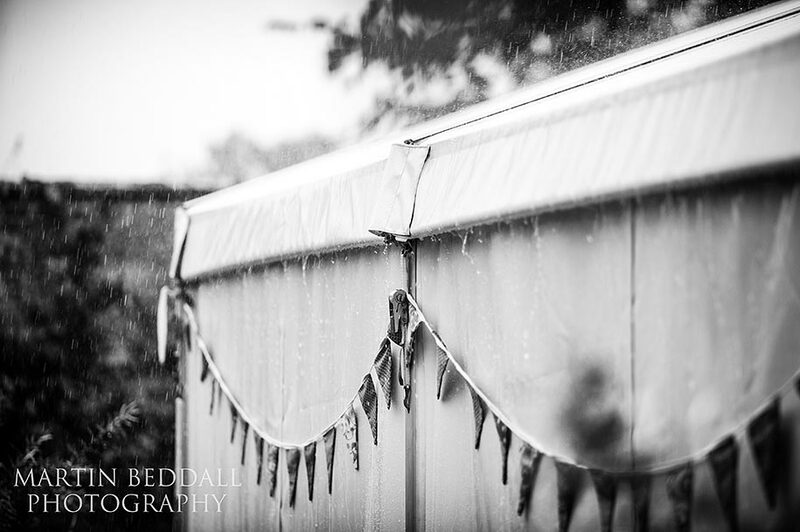 However the schedule was timed perfectly – it rained when everyone was in the marquee. 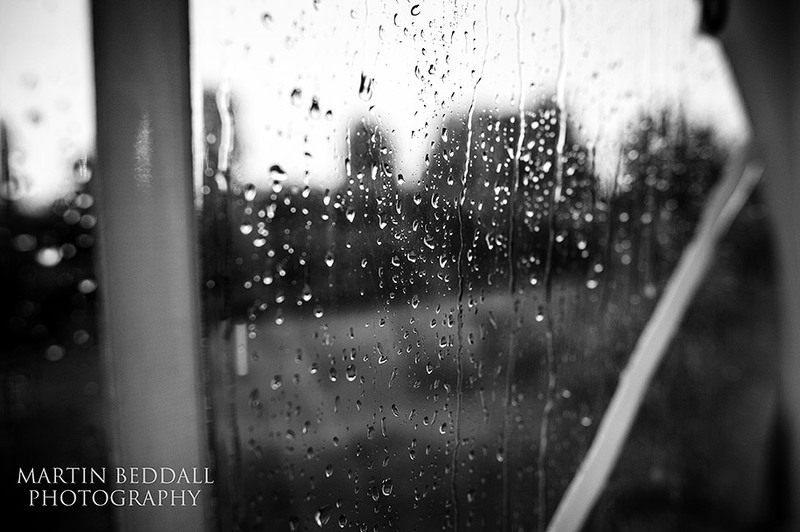 Weather is a constant theme on this blog. 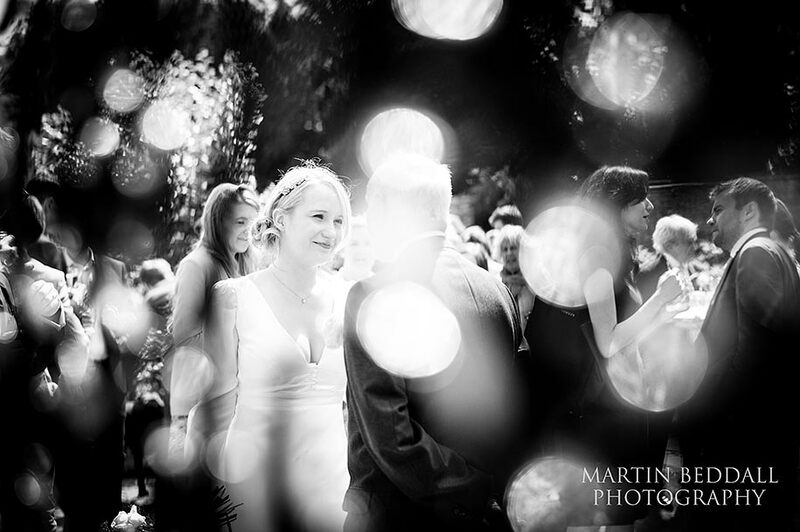 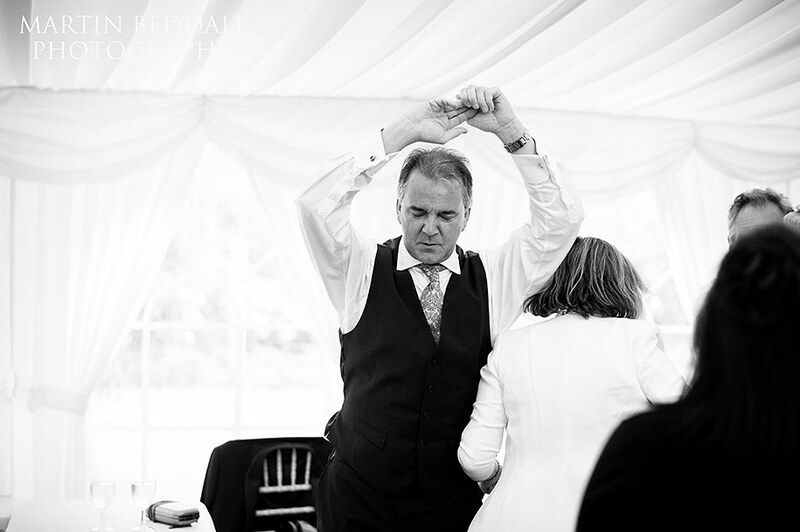 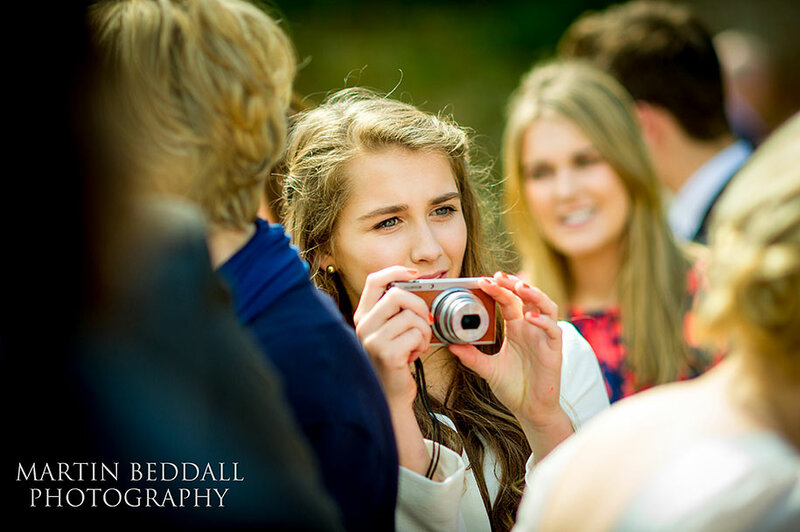 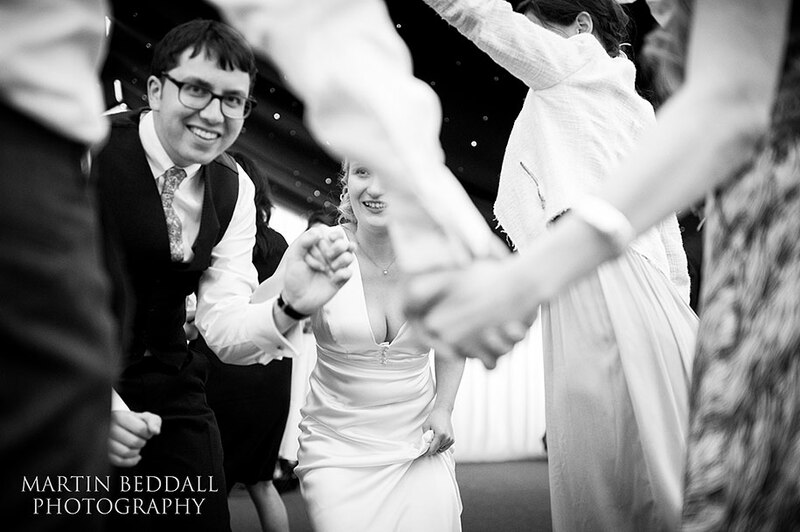 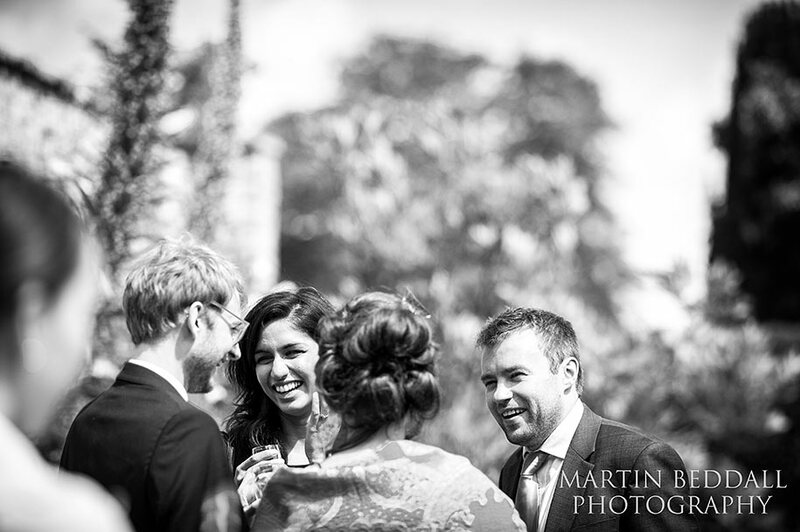 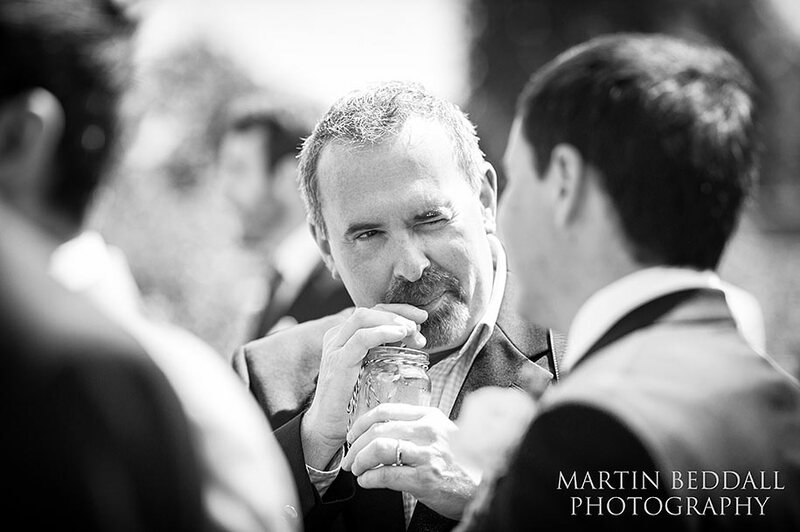 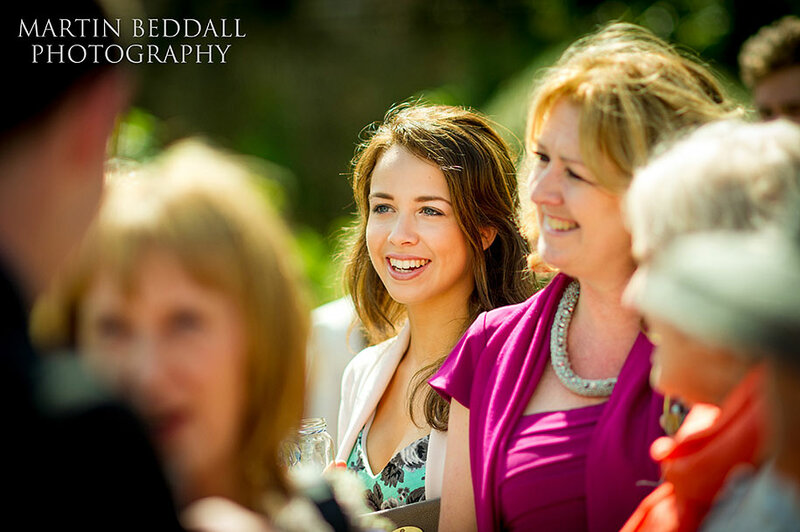 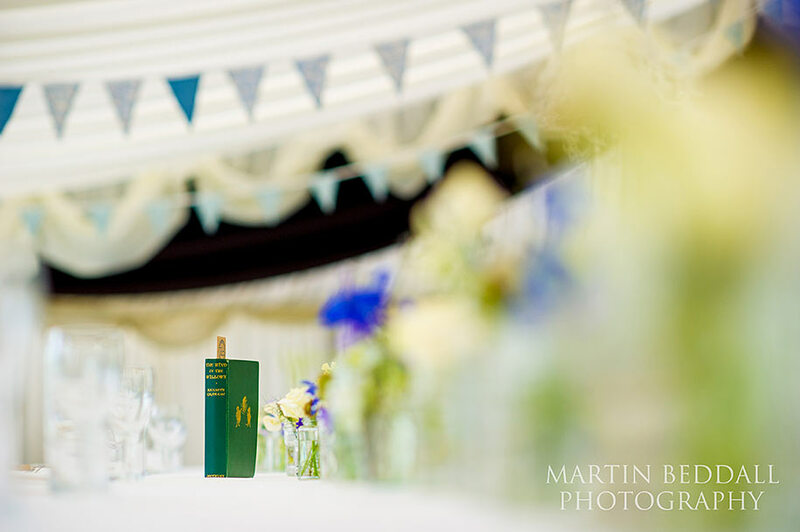 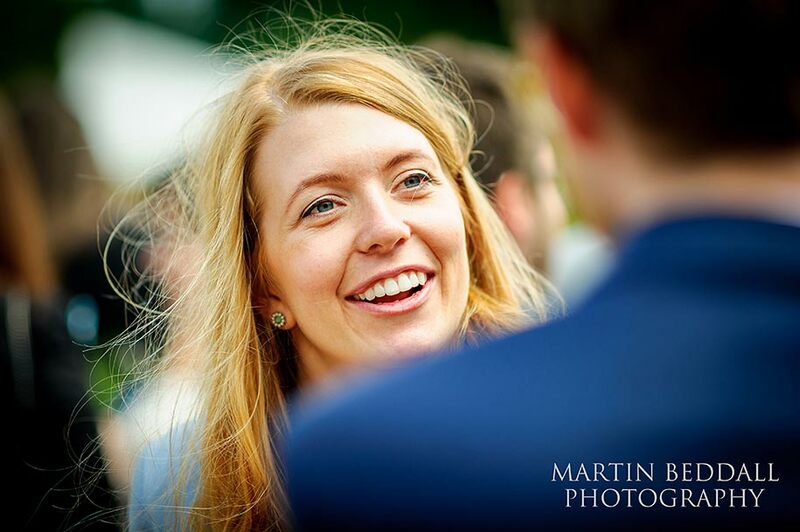 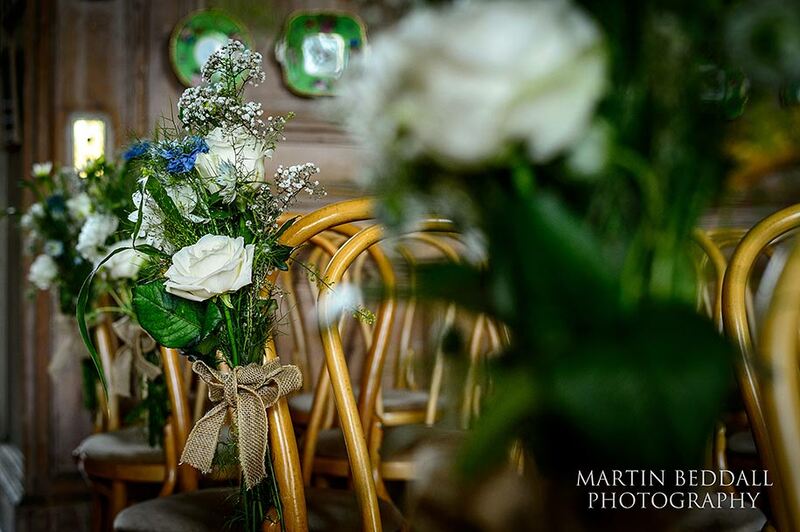 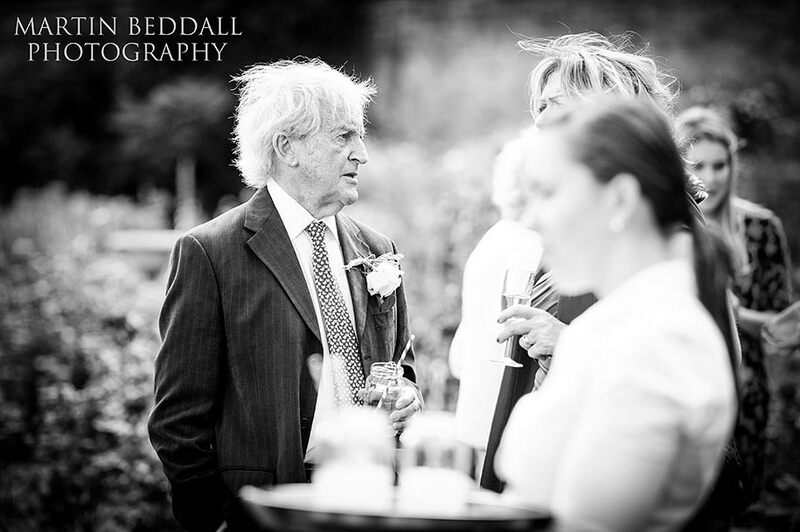 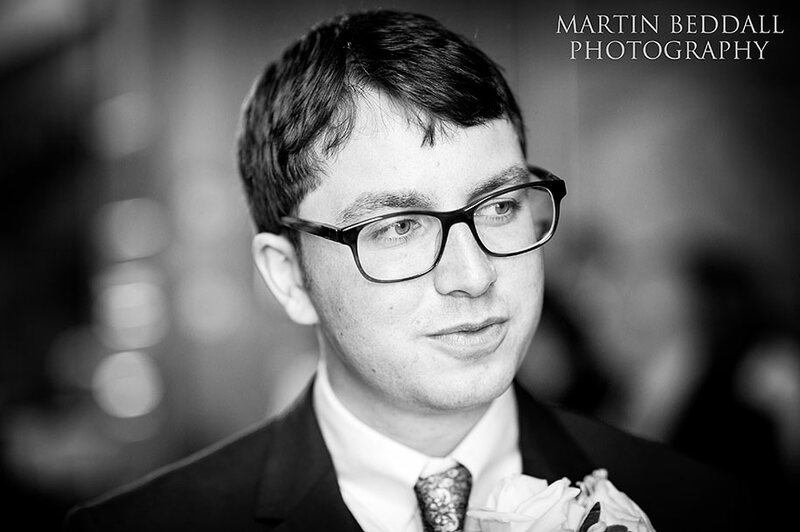 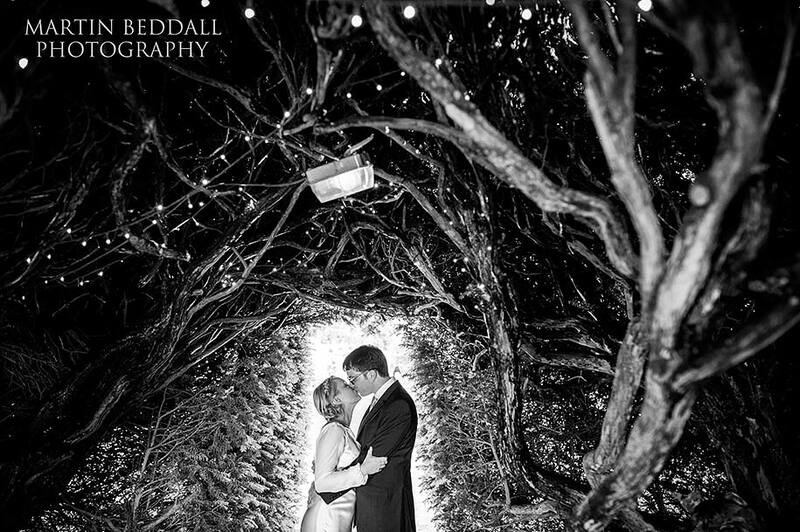 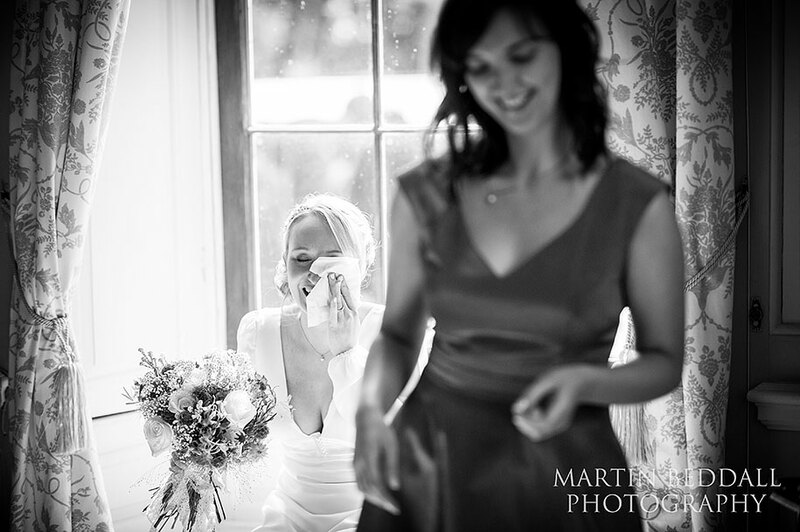 It has to be, the weather determines so much about a wedding and in particular the wedding photography. 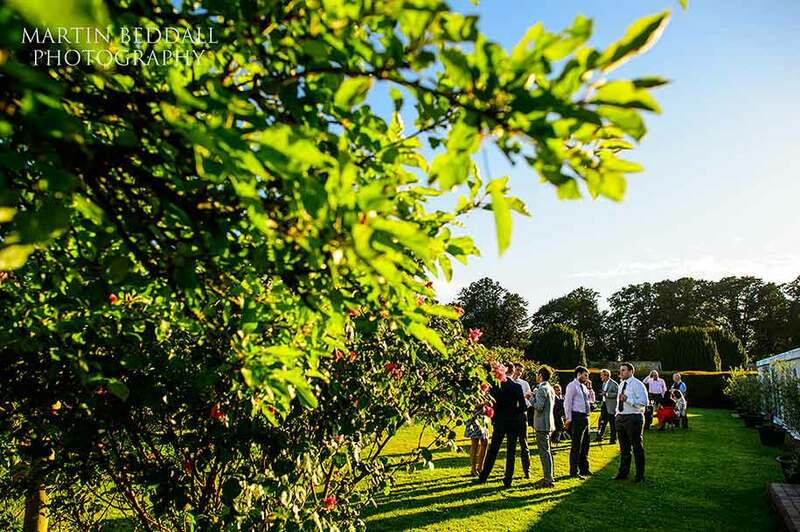 I tend to monitor a Norwegian weather website – it is more detailed than the BBC or Met office efforts. 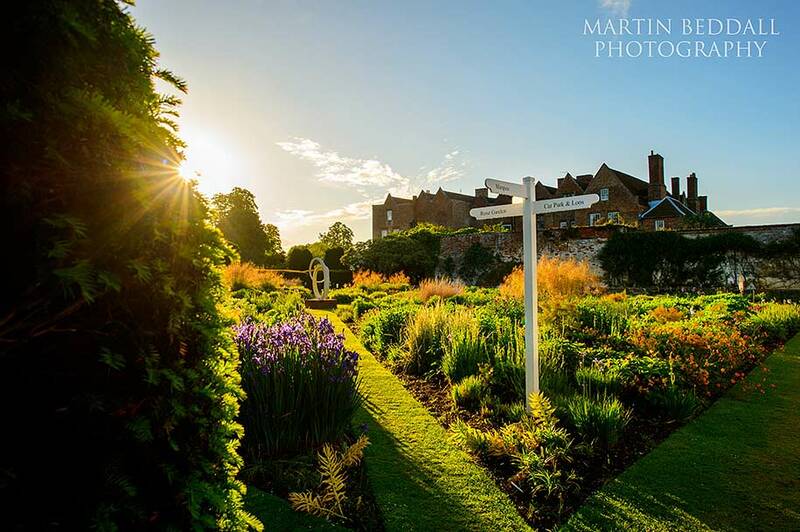 For Saturday it predicted heavy rain in the morning, then sunshine and then at 5pm, heavy rain again, clearing within the hour. 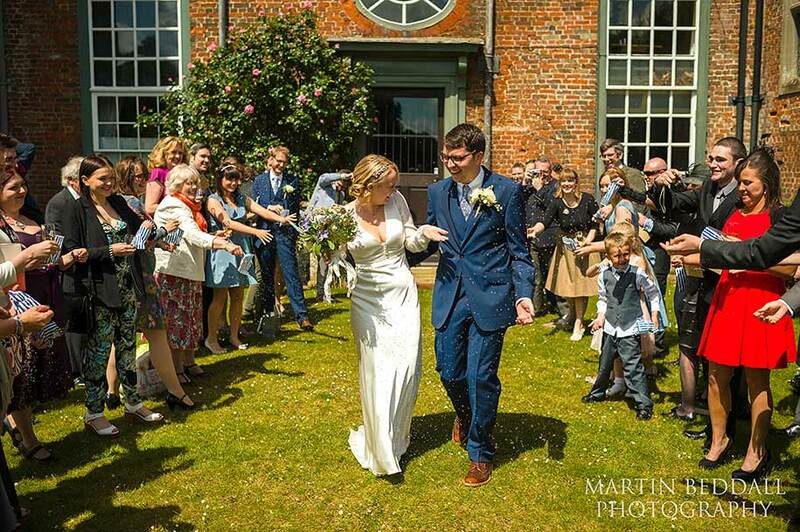 Well, it poured with rain all the way to Suffolk from my home in Sussex. 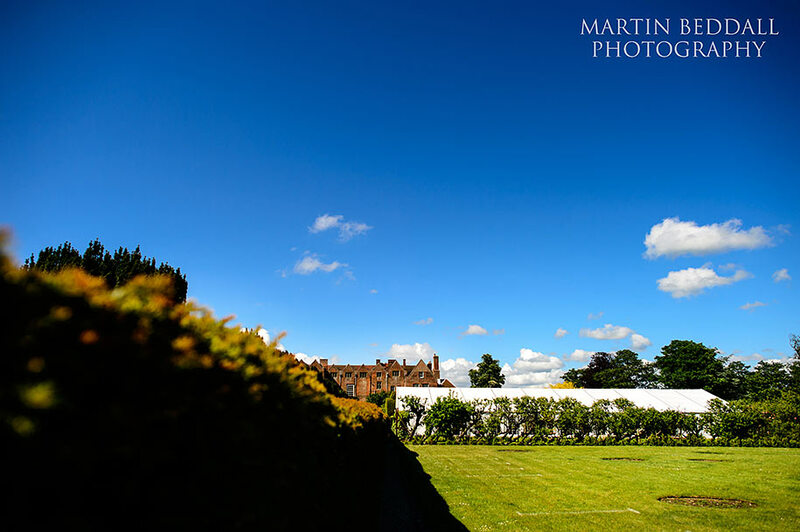 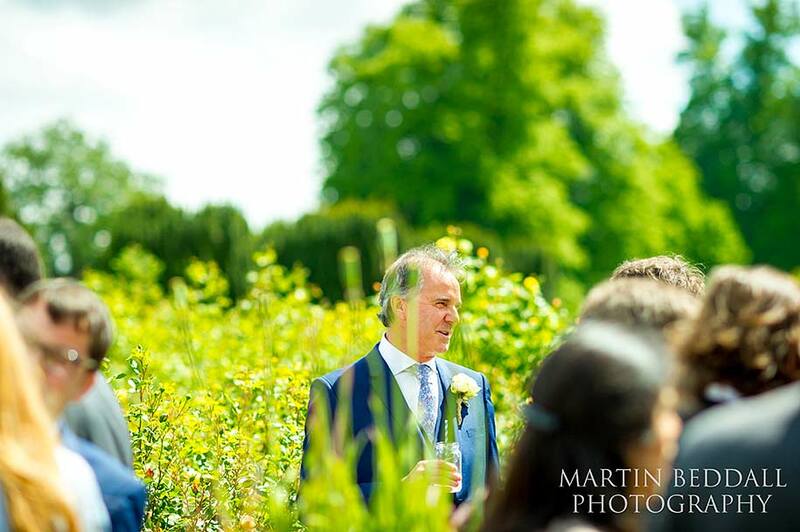 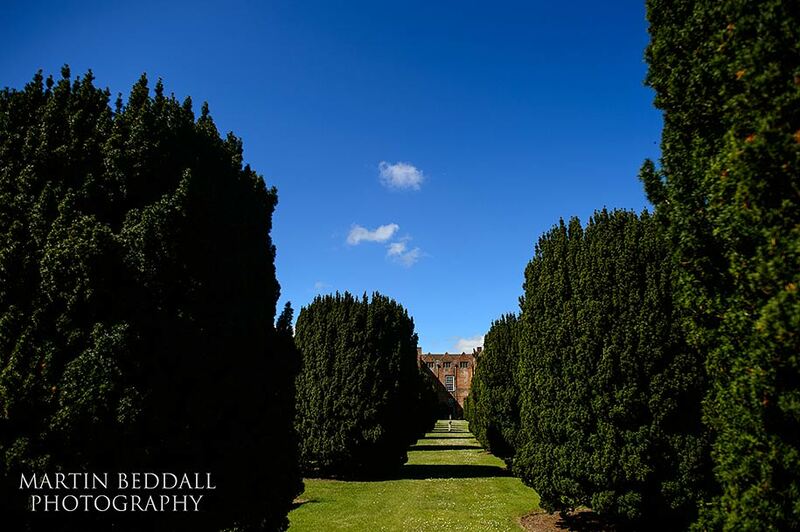 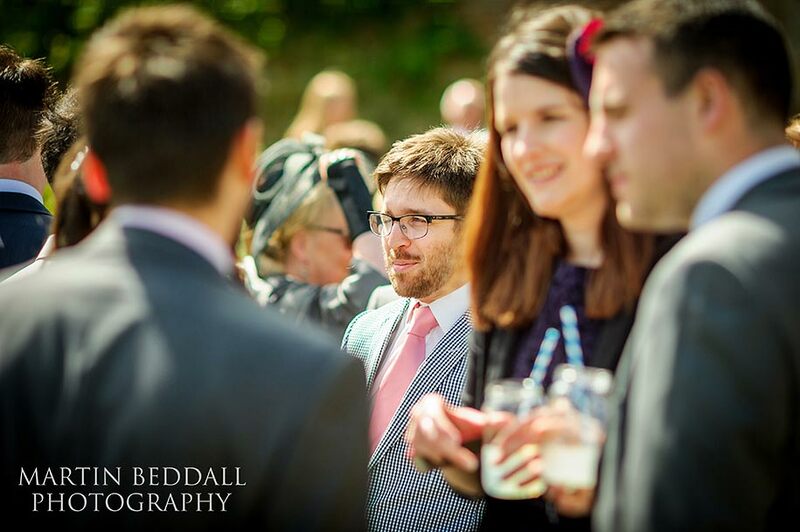 By the time of the ceremony and for the drinks reception in the rose garden, it was blue skies, fluffy white clouds and sunshine. 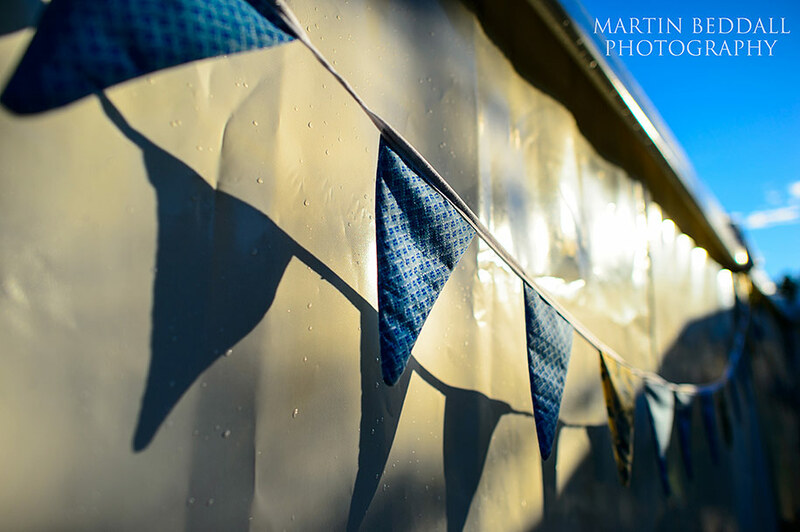 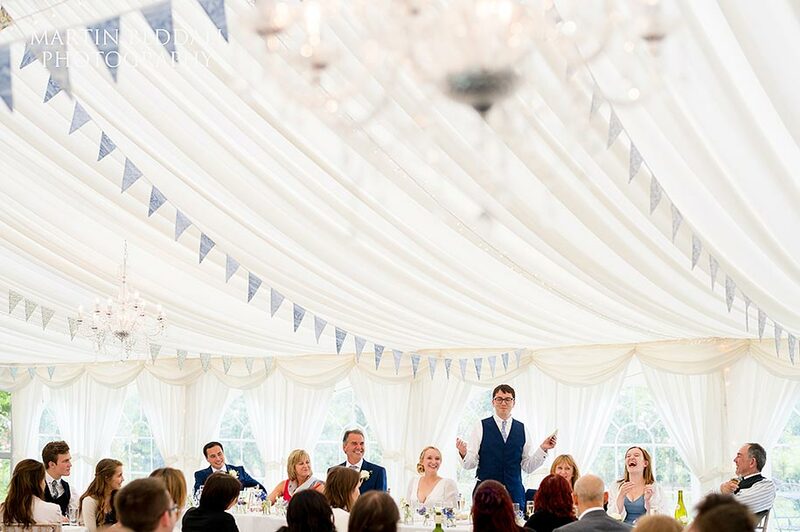 With everyone in the marquee, the skies cleared into a deep blue. 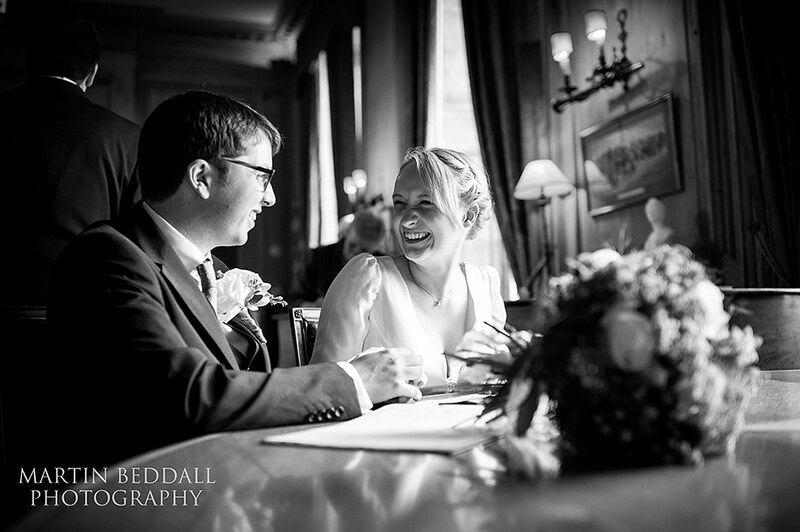 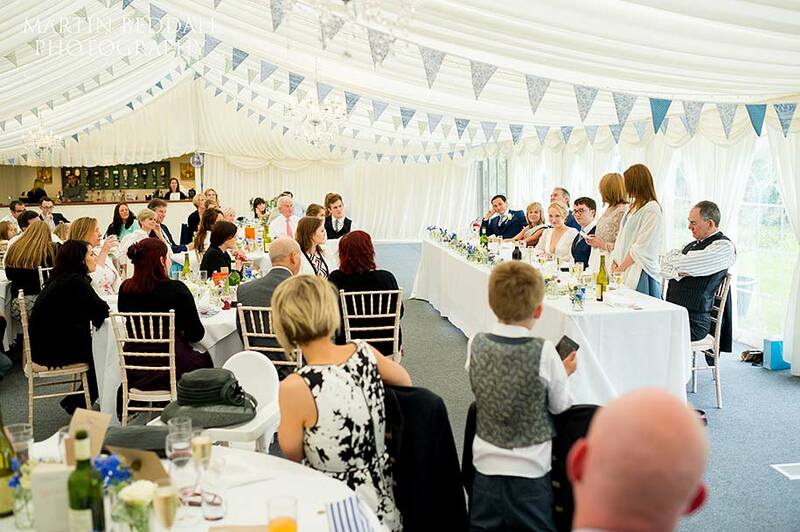 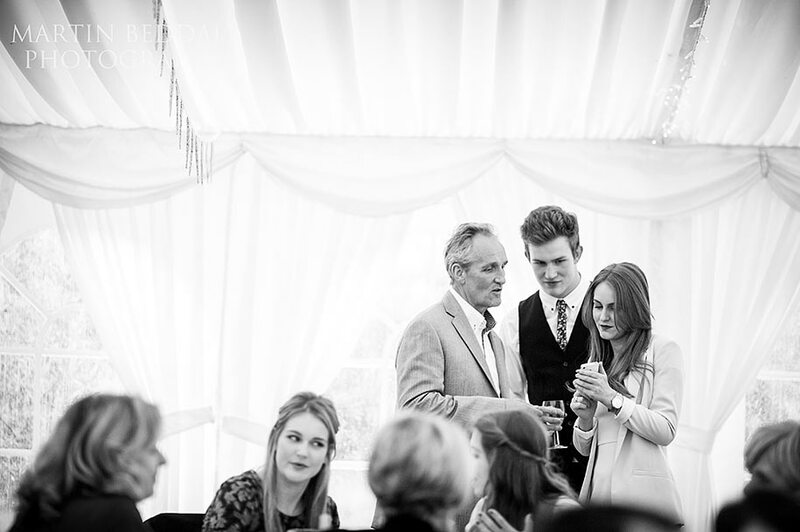 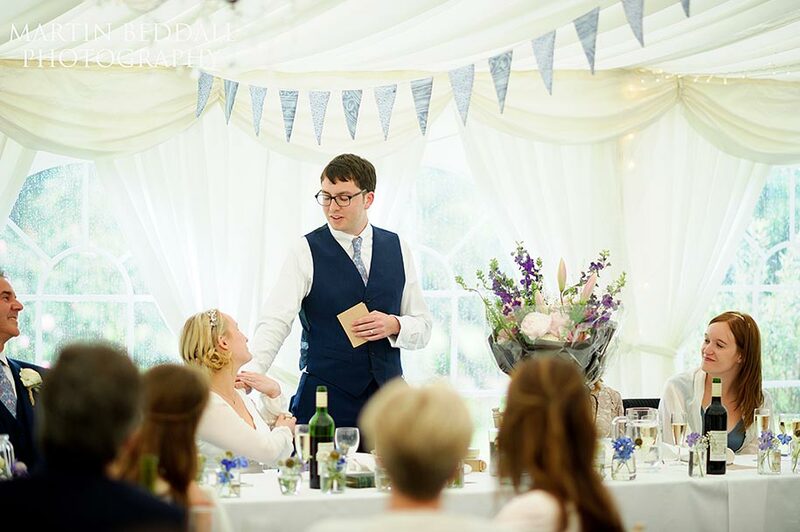 When I went in to join the meal – Helen & Josh had kindly reserved a place for me – the weather changed dramatically. 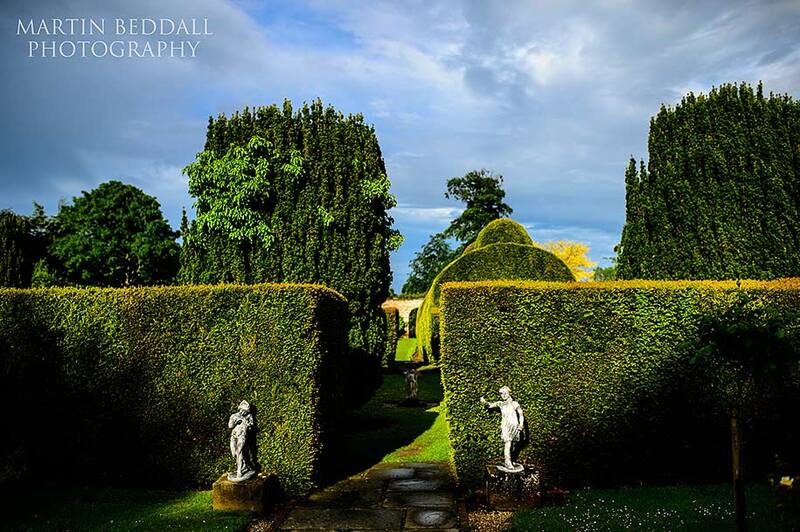 The blue quickly disappeared and very heavy rain fell – a bit early at 4.45pm! 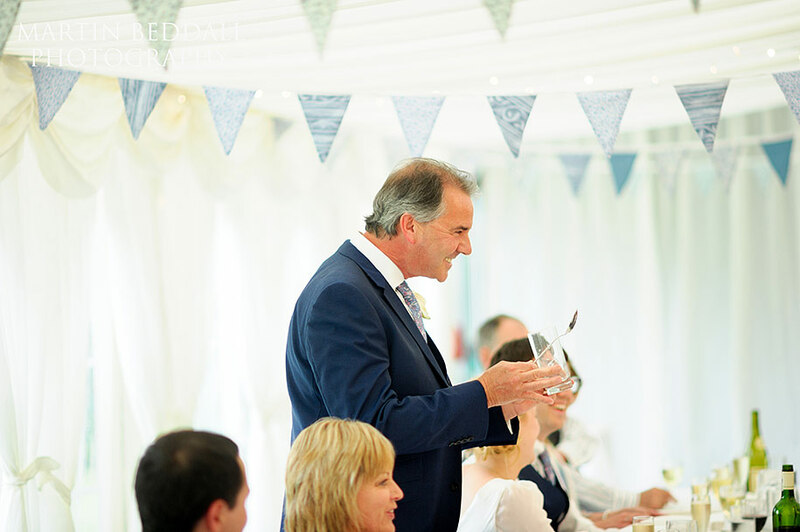 But by the end of the meal, the blue was back, the sunshine was back – perfect timing! 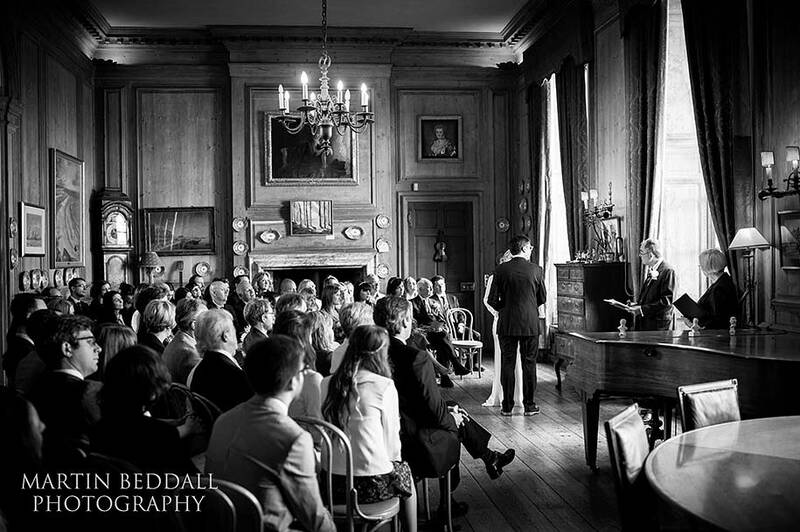 Glemham Hall is a unique venue. 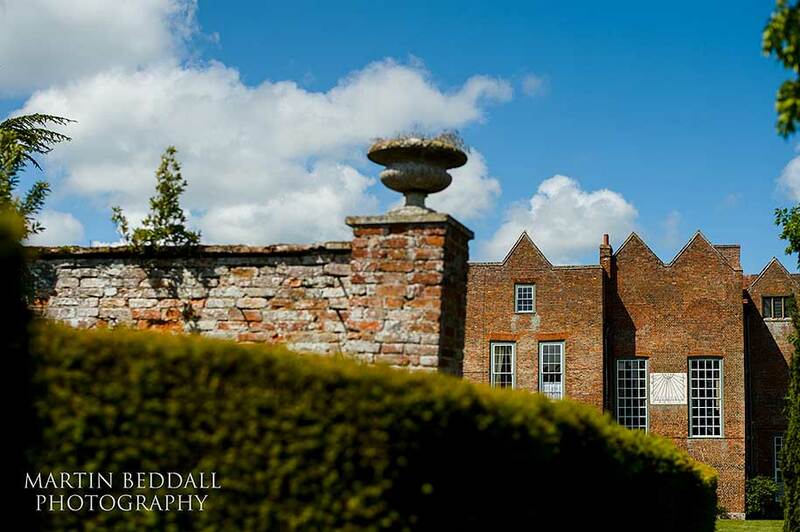 A Grade 1 listing building, an Elizabethan stately home with a Georgian facade, sitting just off the A12 north of Woodbridge. 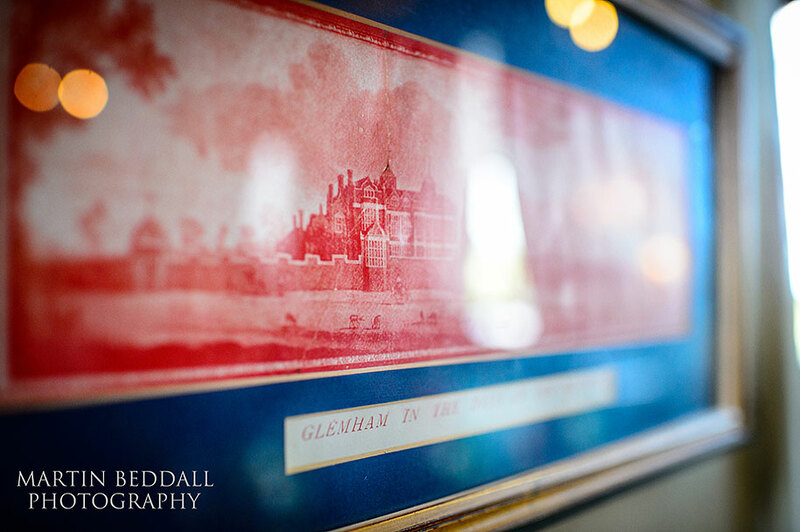 It hasn’t been sanitized by some big hotel chain and is still a family home, so oozes character. 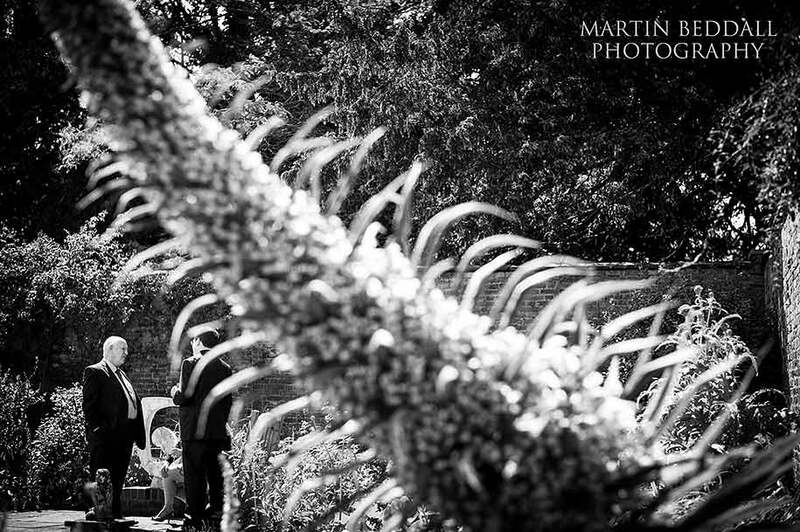 In fact I’ve never seen such a place used for weddings with so many knick-knacks laying around and no endless “Do not Touch!” signs – very trusting. 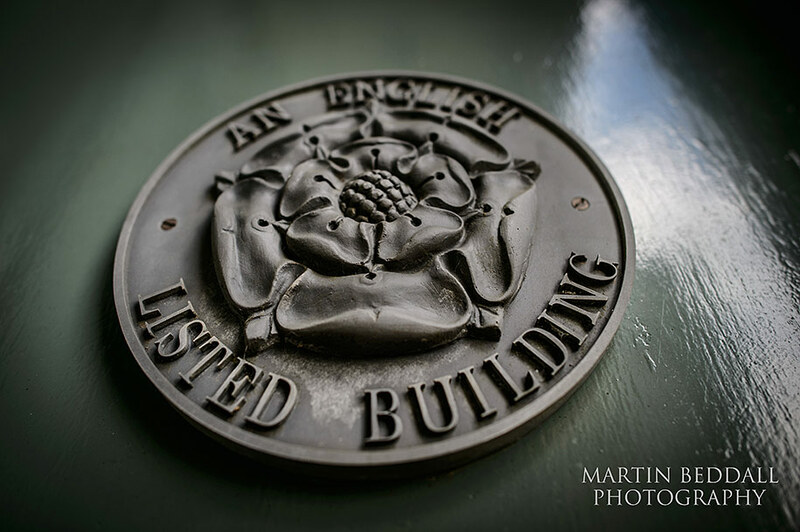 It helps add to it’s charm and atmosphere. 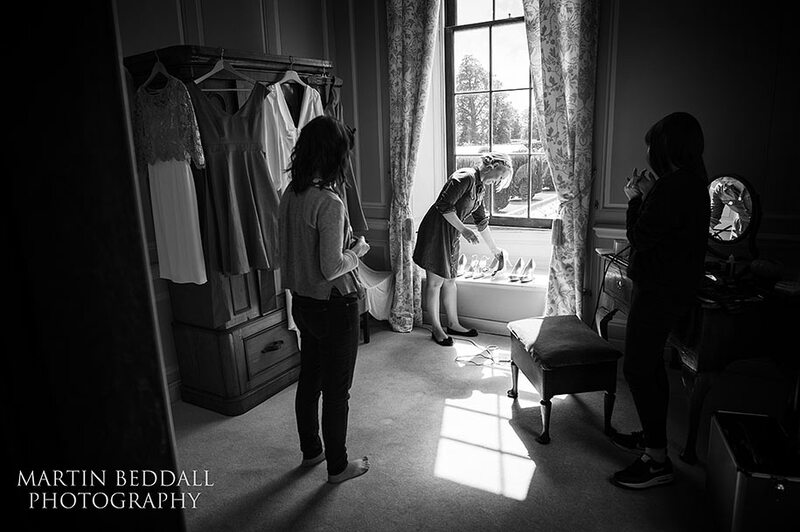 It’s like a delicately laid out film set. 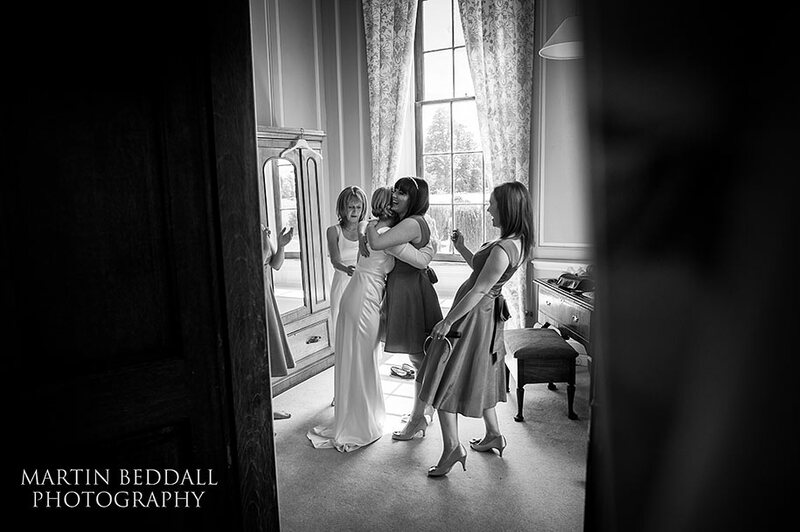 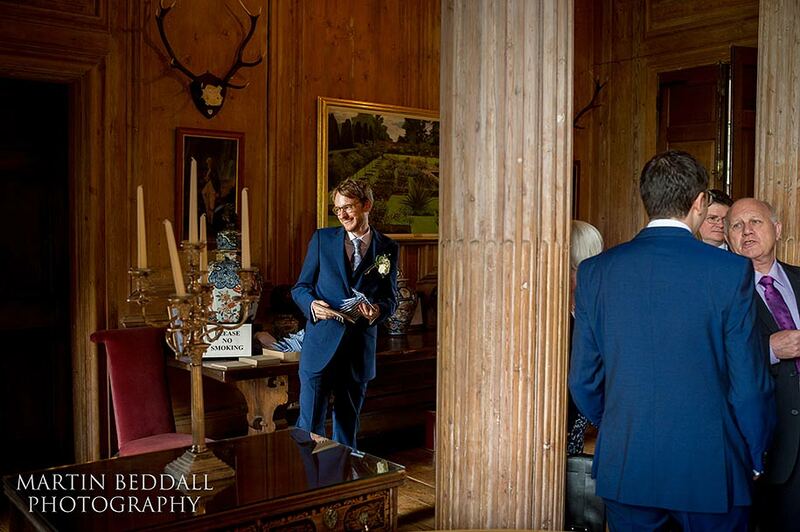 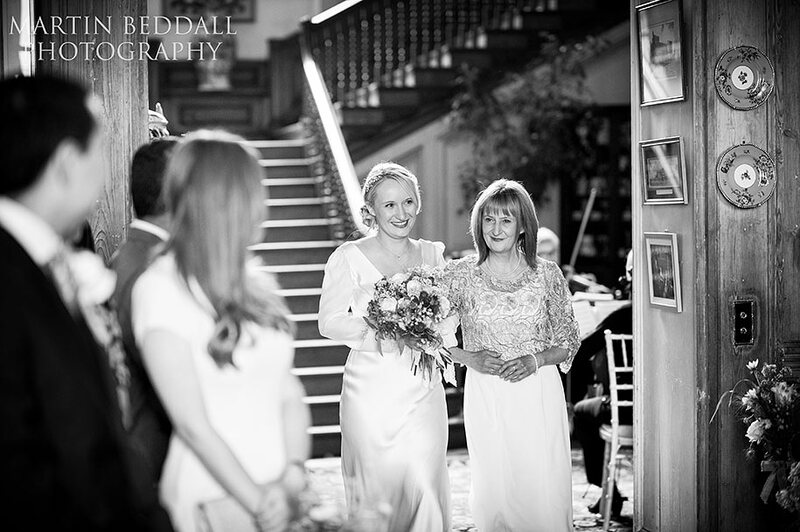 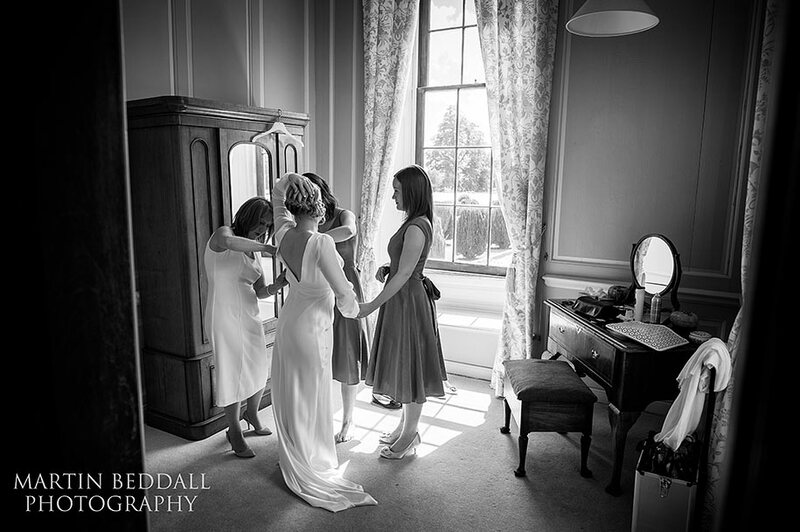 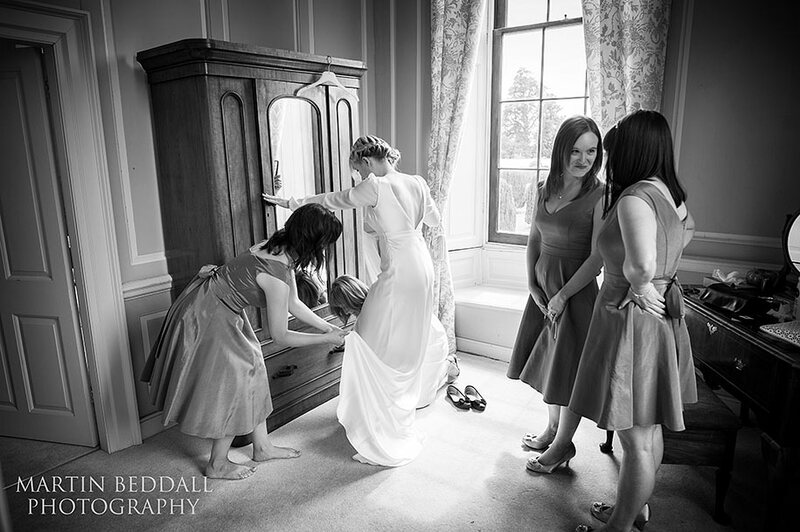 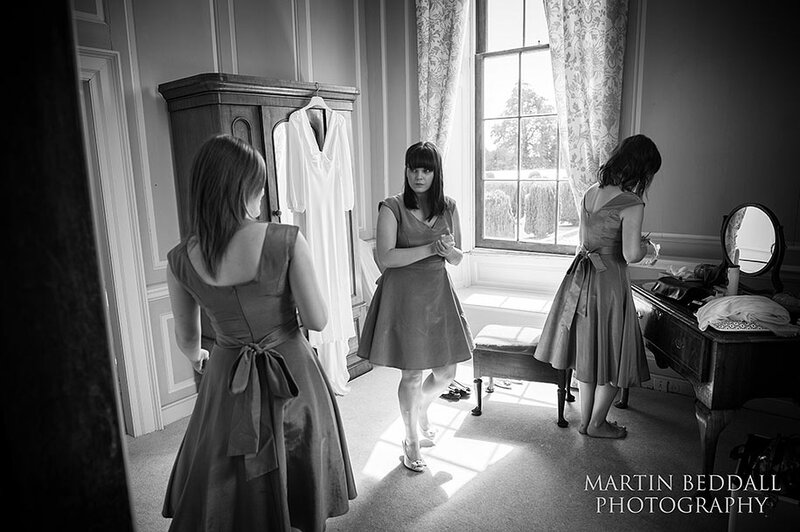 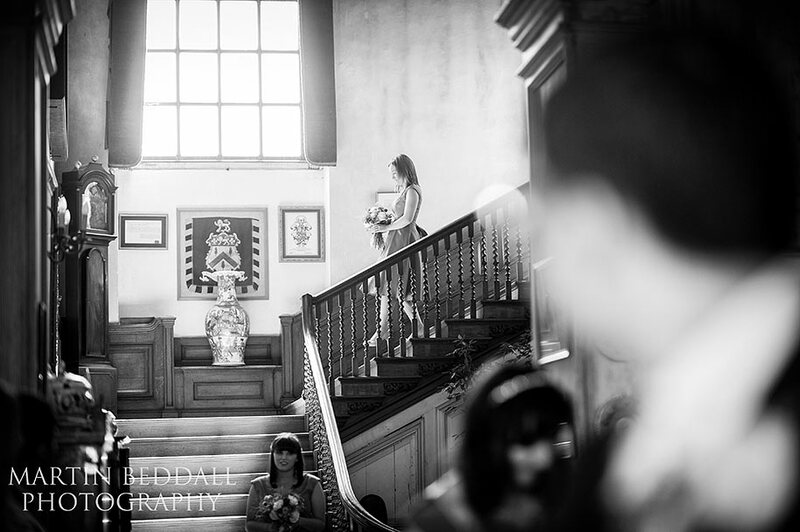 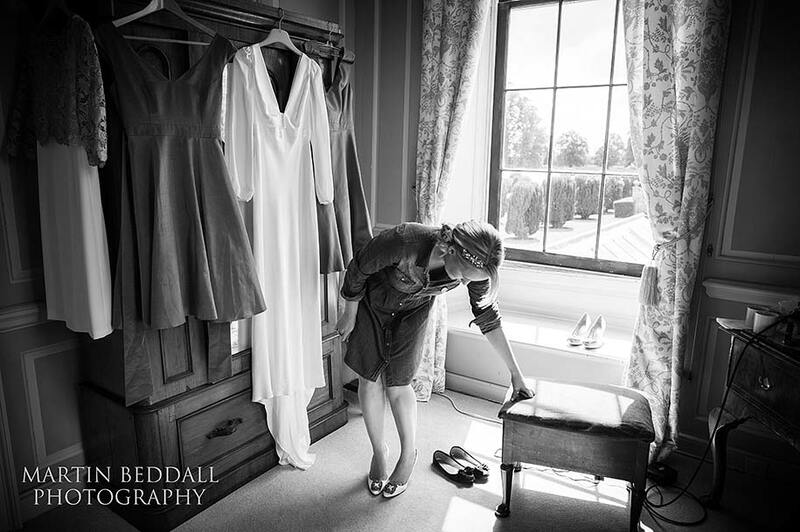 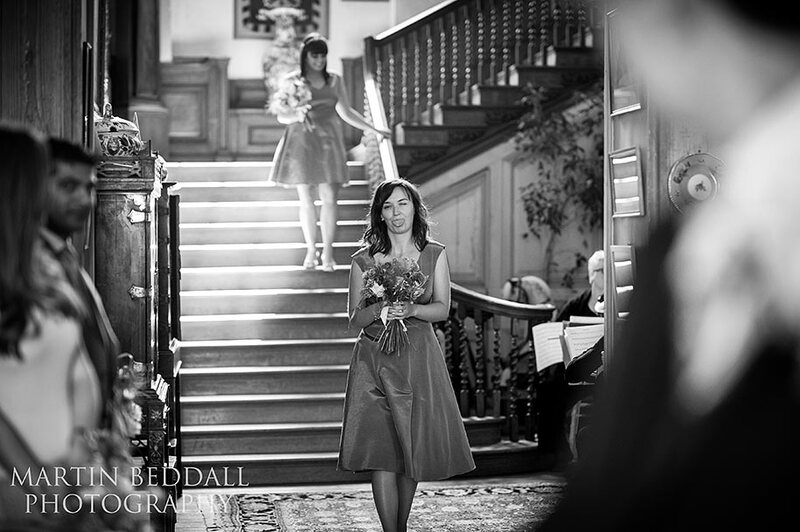 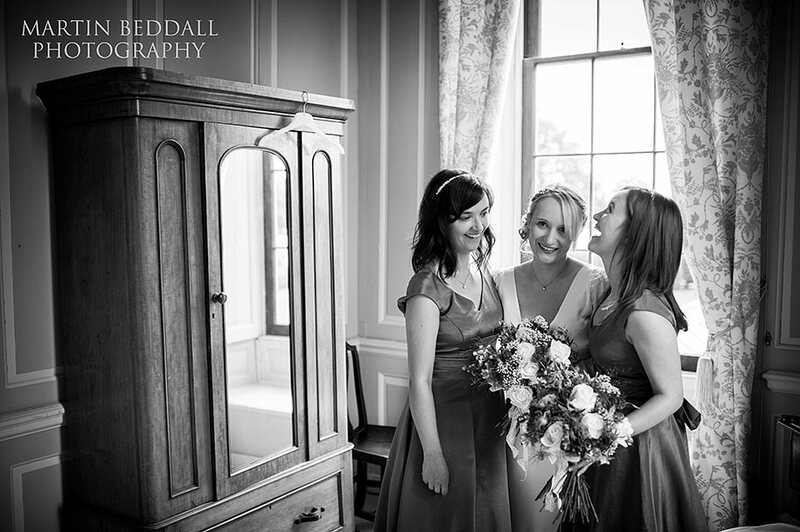 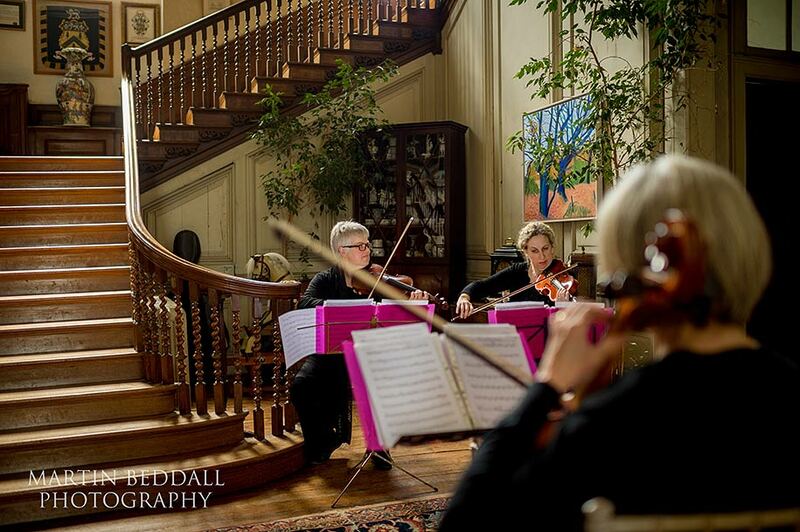 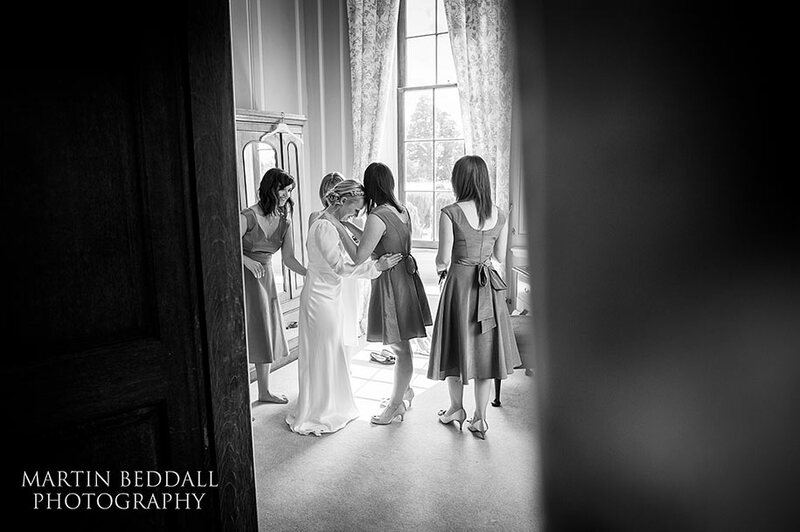 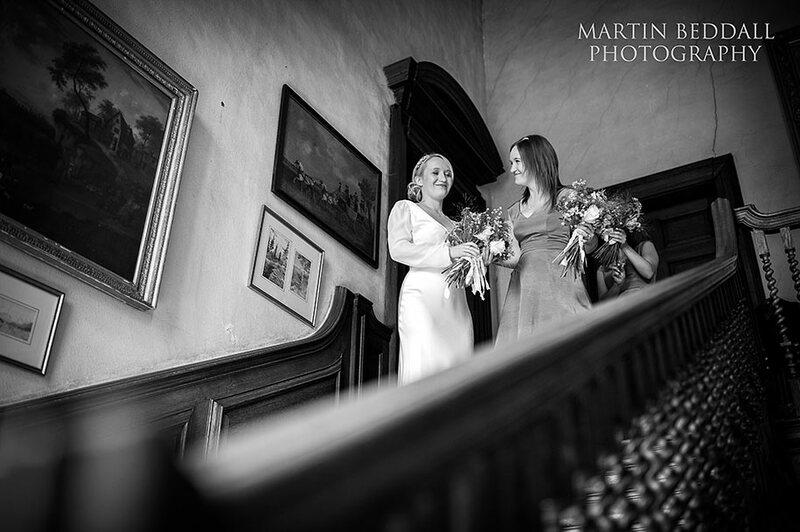 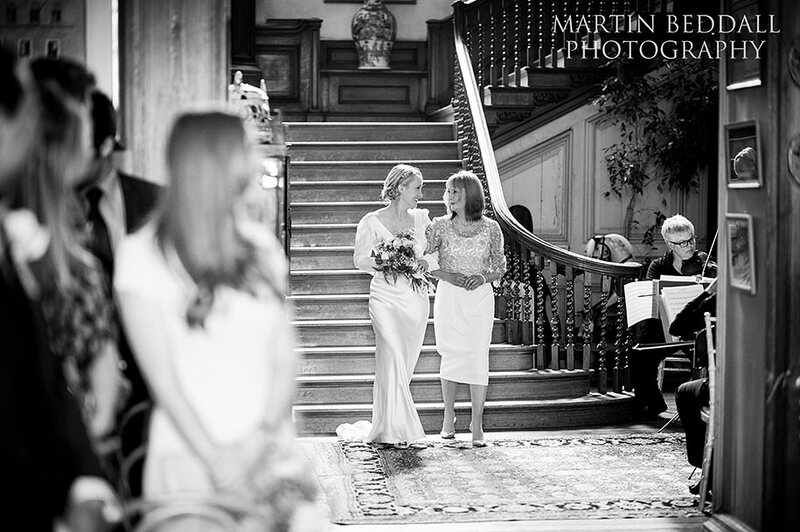 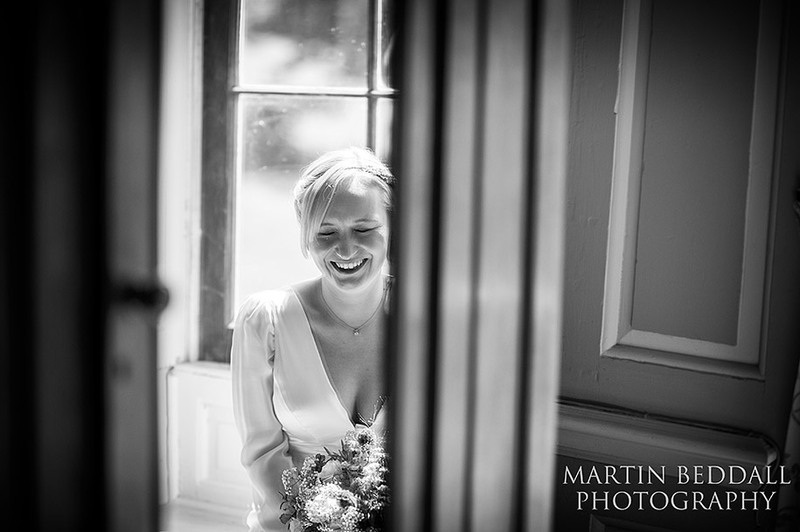 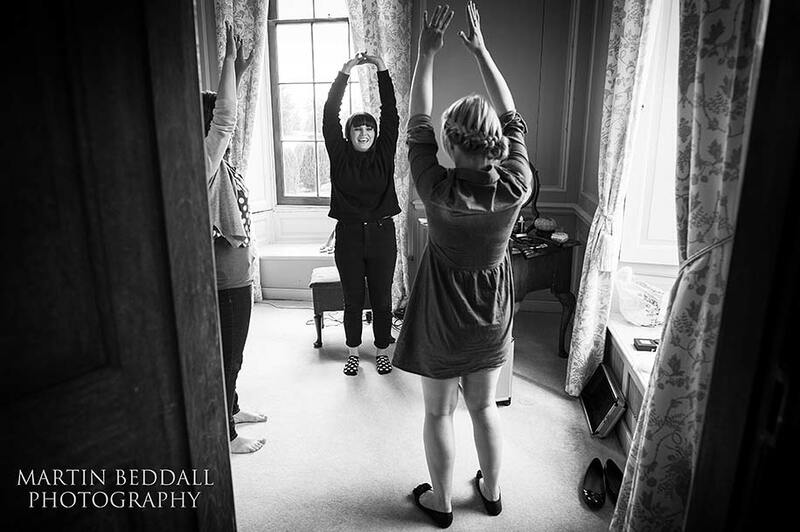 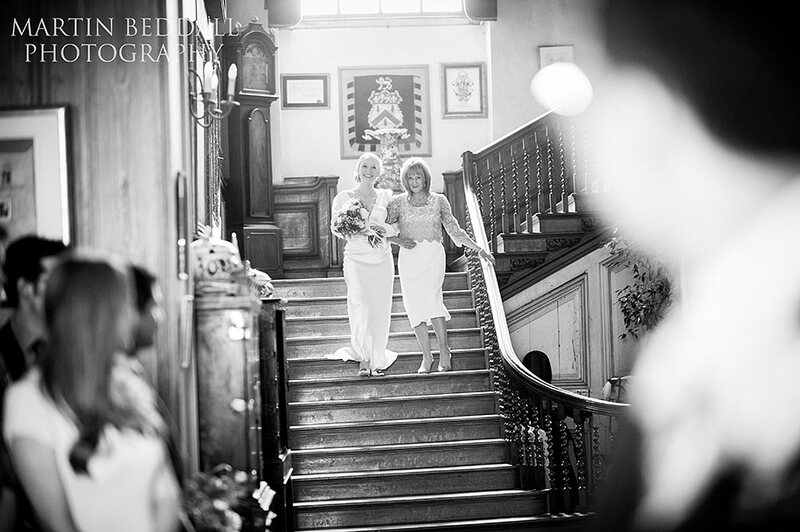 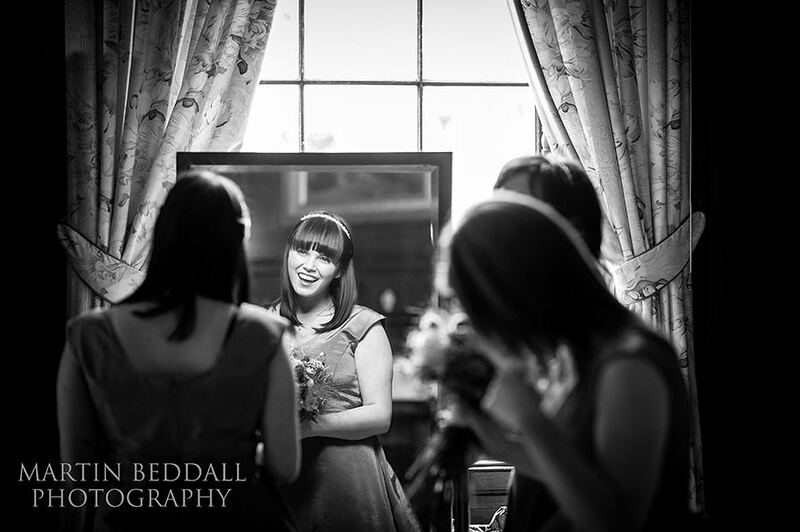 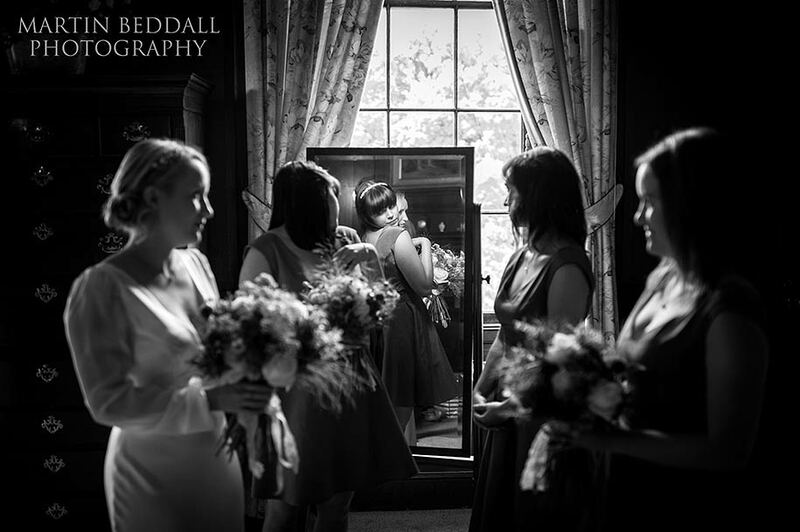 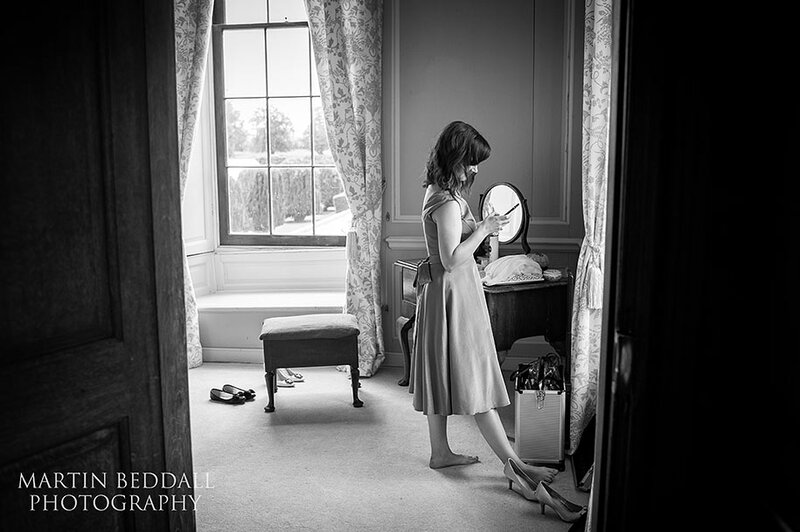 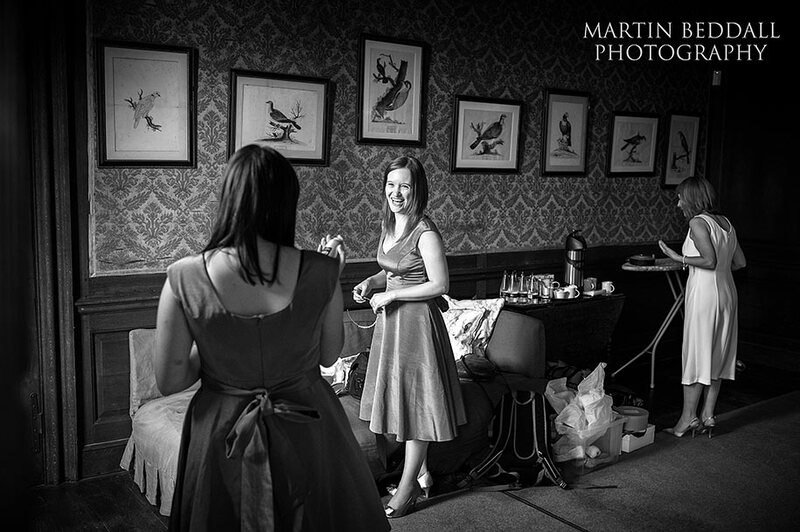 Helen got ready with her mum, twin sister and bridesmaids just up the main staircase. 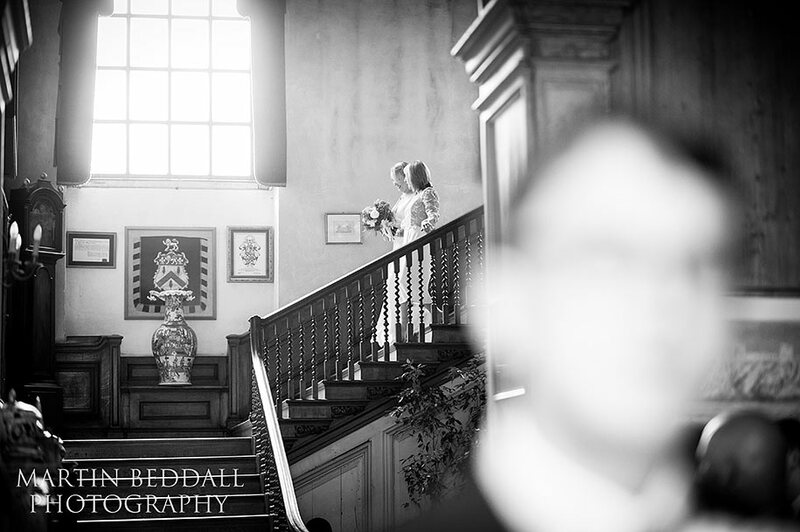 She would descend later and straight down the small aisle, for the ceremony in The Grand Hall at the front of Glemham Hall. 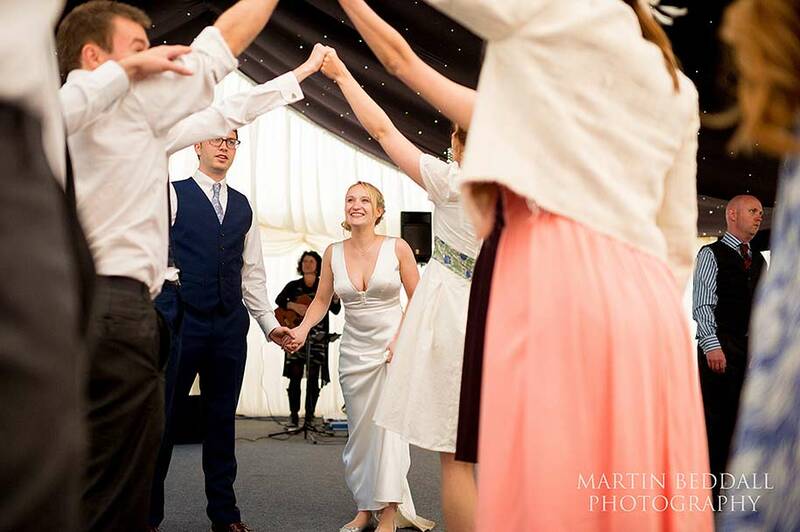 Now wedding ceremonies follow a pattern. 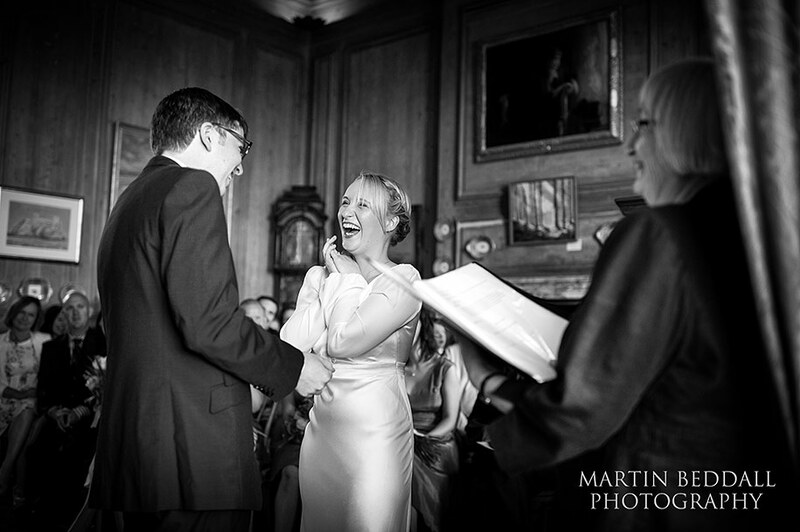 The registrar/vicar, says a line, you as the bride and groom, repeat each line. 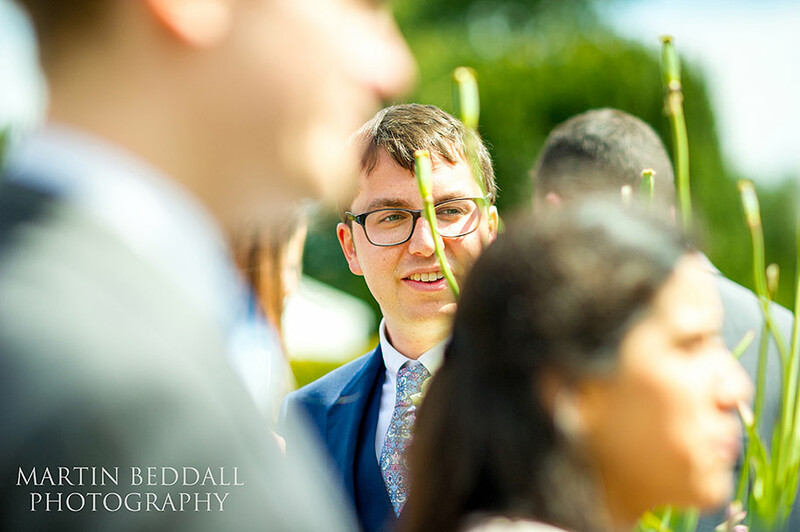 Occasionally someone gets a word wrong ( I’ve heard three vicars mix up names completely just in the past couple of years ). 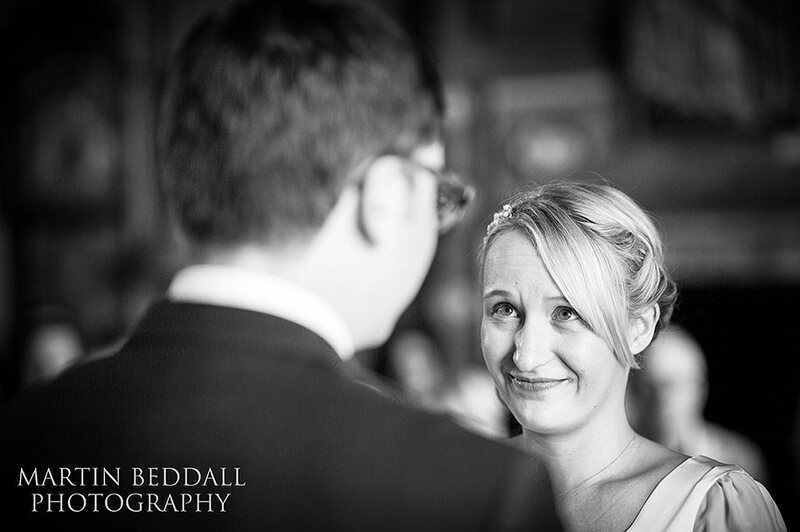 Sometimes they ask for a line to be repeated – they are nervous, they are staring into their partner’s eyes. 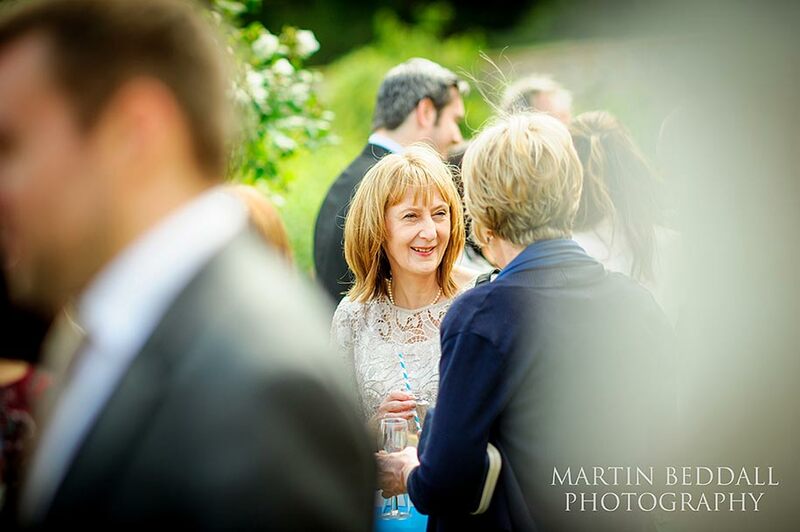 Sometimes though, they say nothing – like Helen. 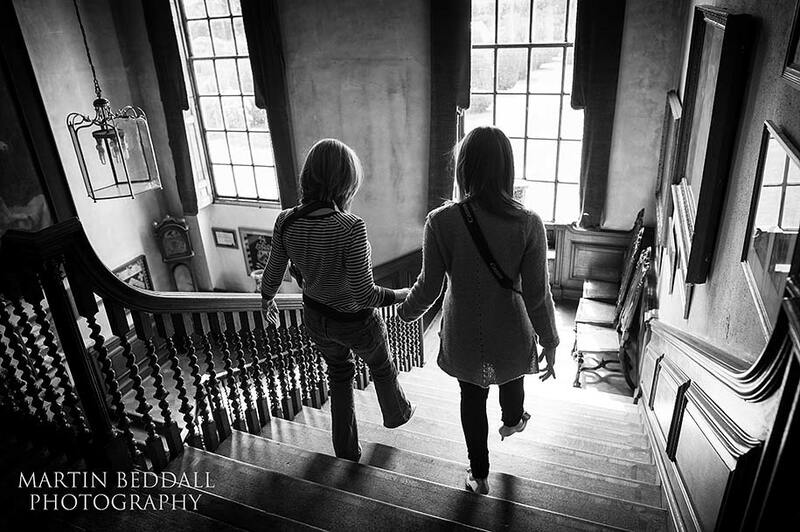 The registrar said the line…silence…that seemed to last. 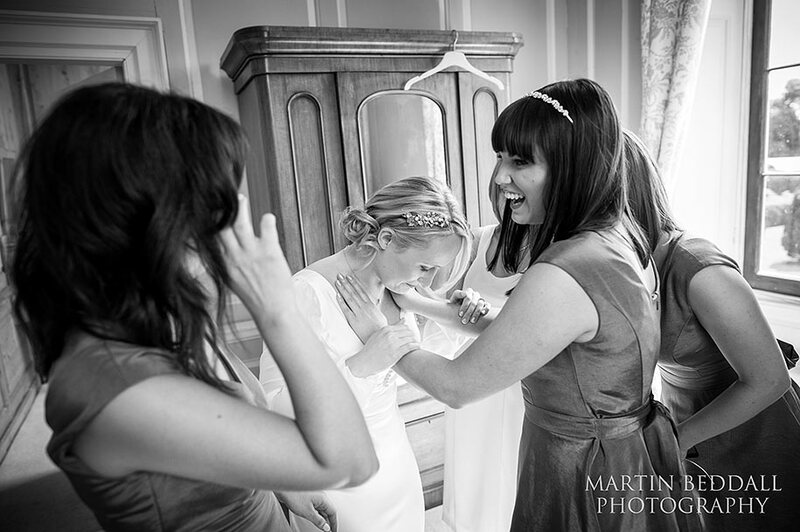 You’ll spot the moment below, when Helen realizes and holds her head in her hands. 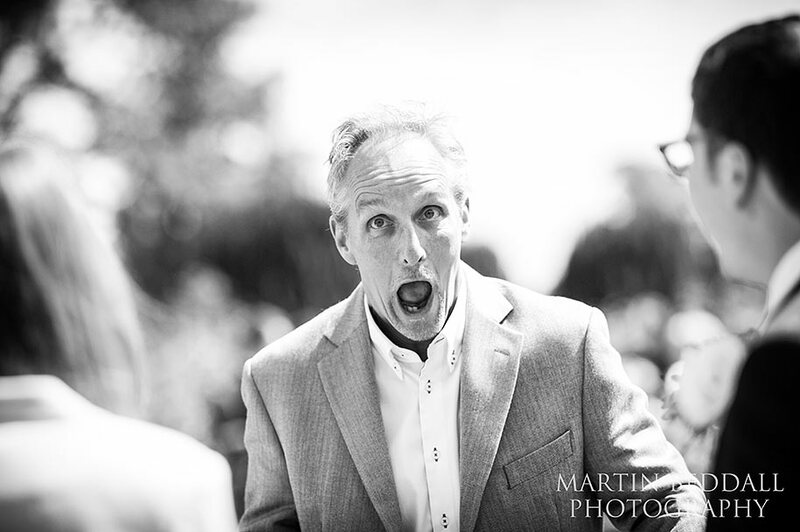 It was a classic, funny moment. 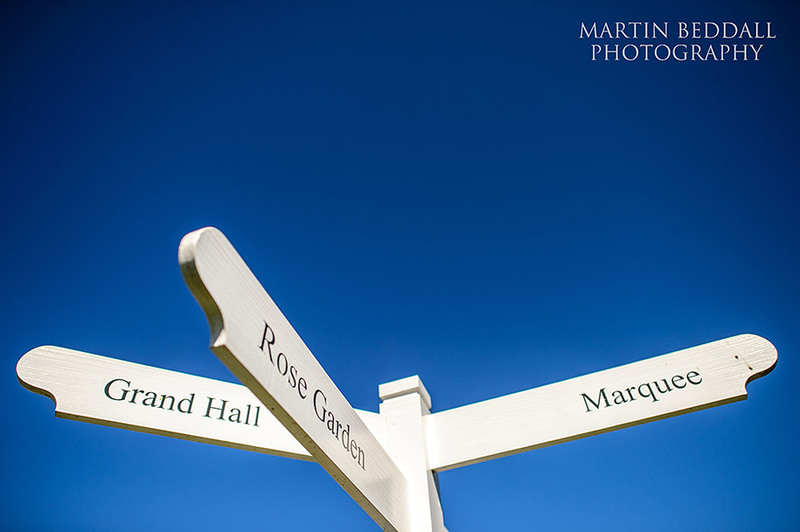 Drinks in the rose garden followed, under blue skies. 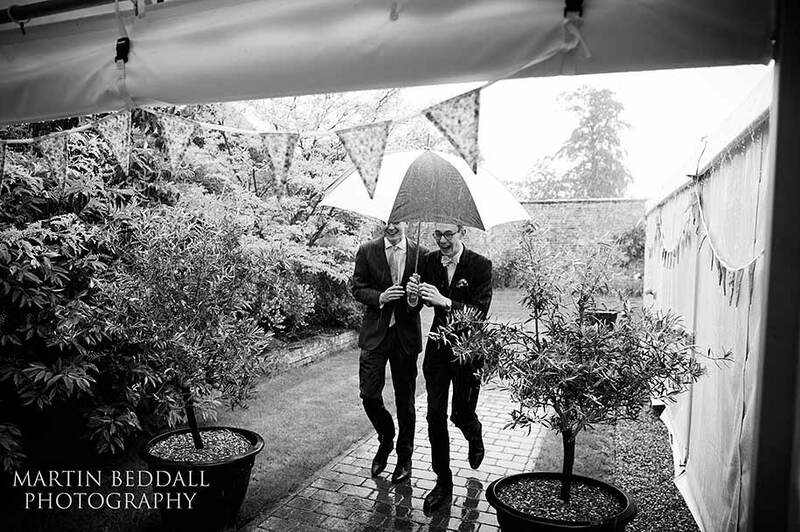 The rain, as I said, timed it perfectly for when everyone was under cover for the meal and speeches. 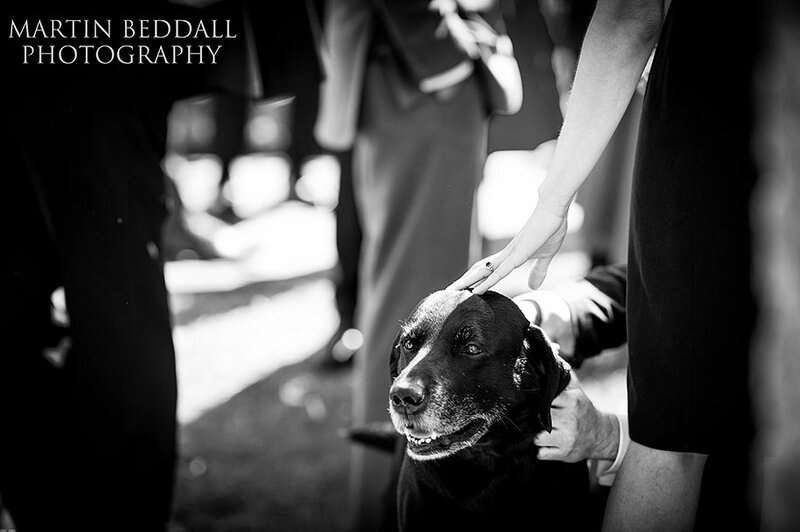 It made way to sunshine for the evening drinks and the arrival of Dylan, Helen’s dog – a big, bouncy, ten year old black lab. 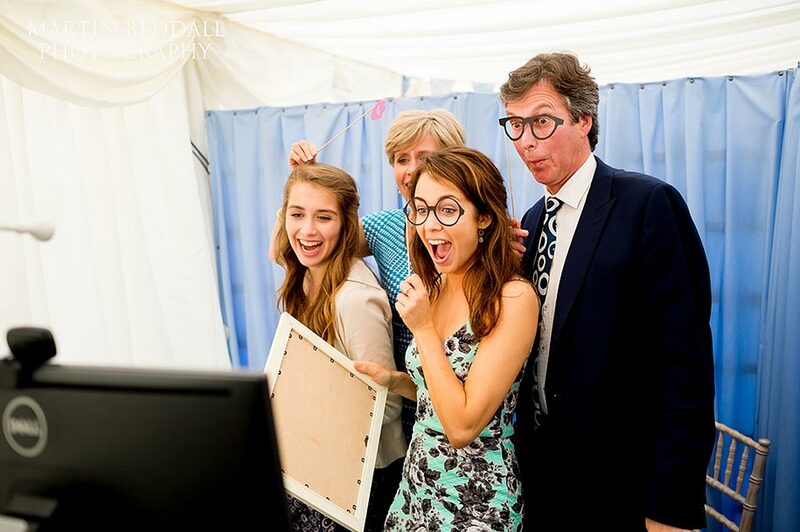 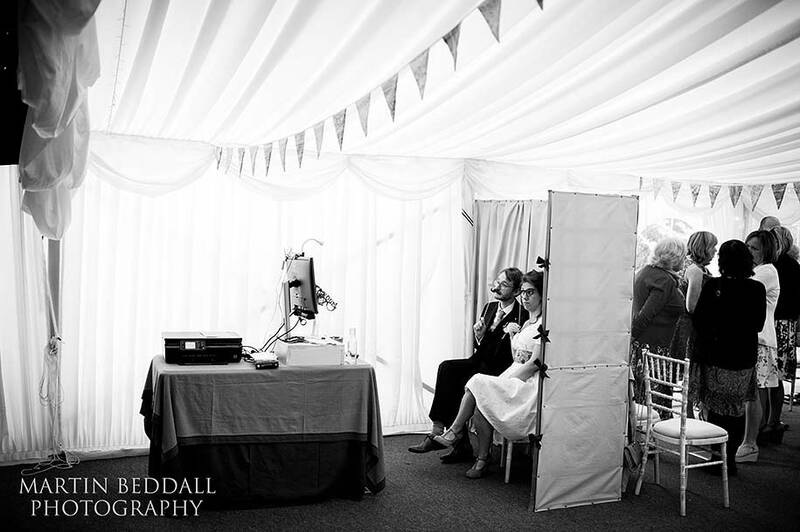 A homemade photo booth and an enthusiastic céilidh followed for the evening party. 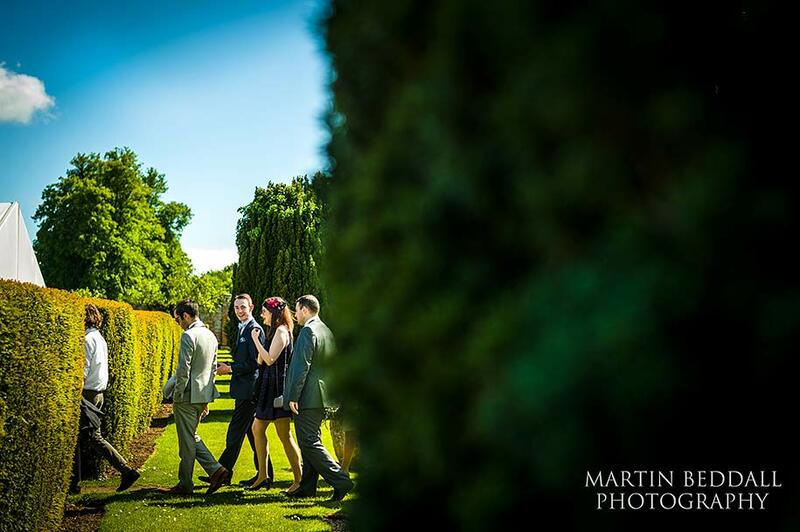 A cracking day! 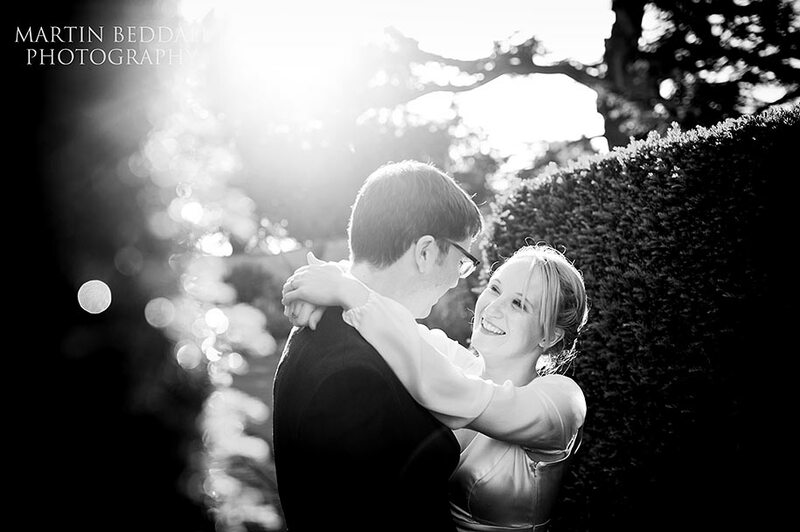 They truly are beautiful and capture the day perfectly. 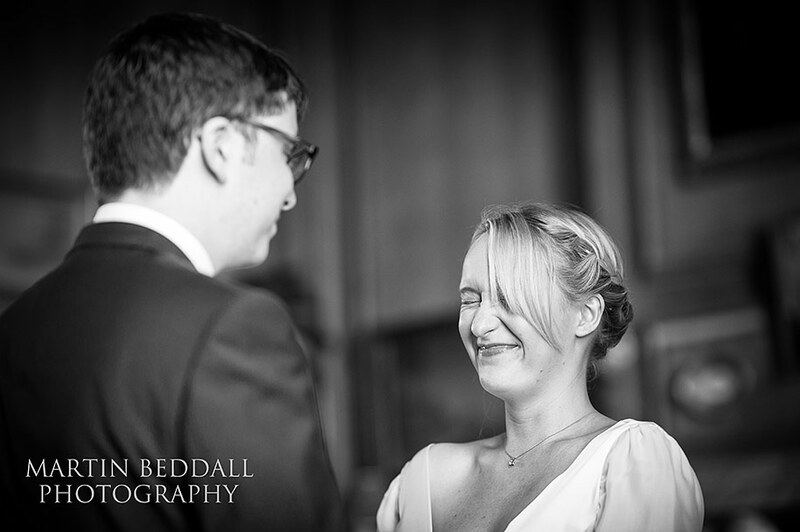 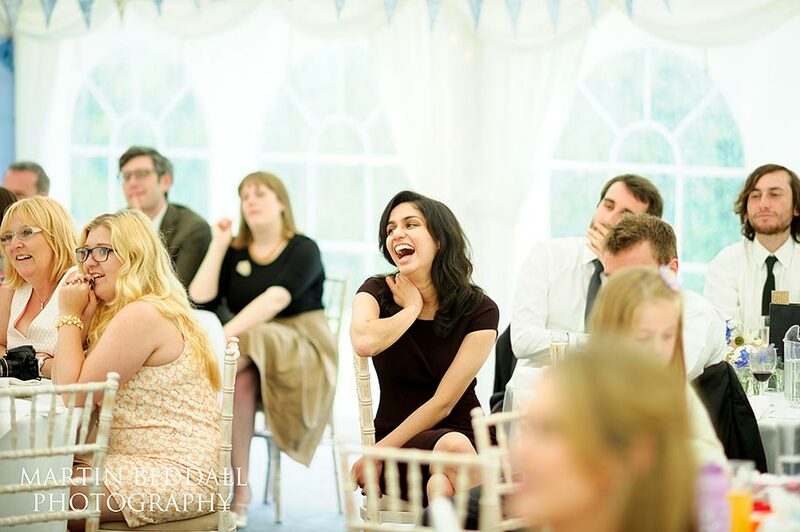 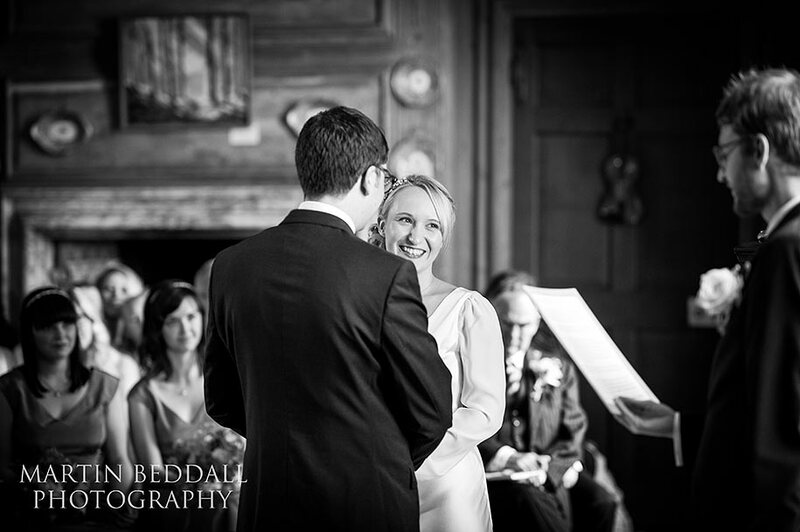 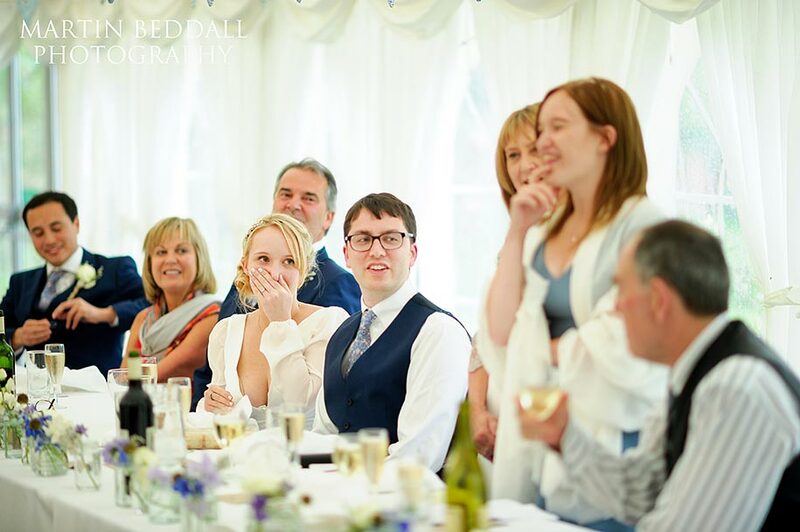 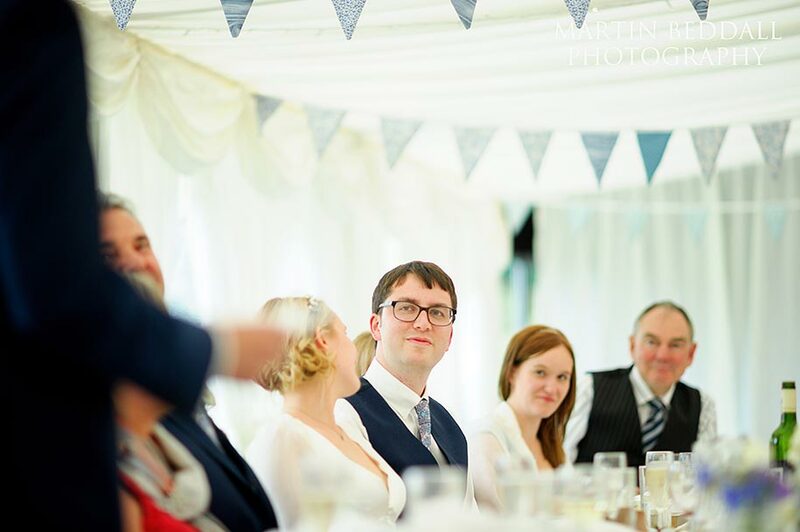 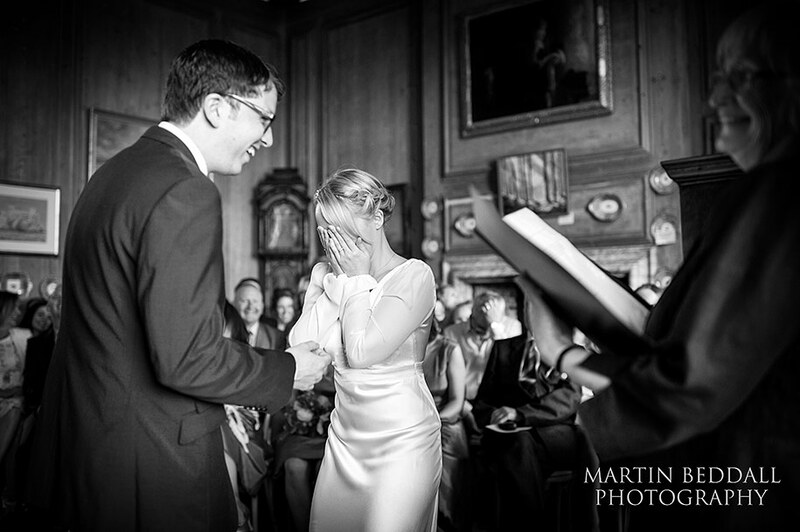 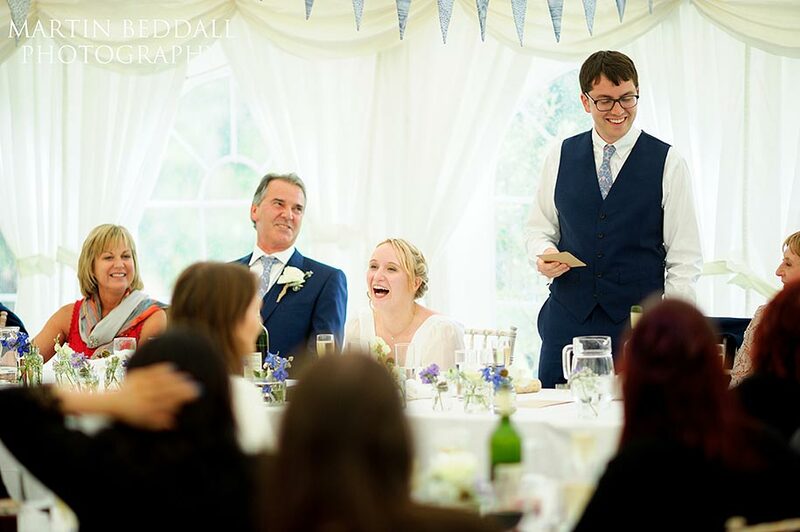 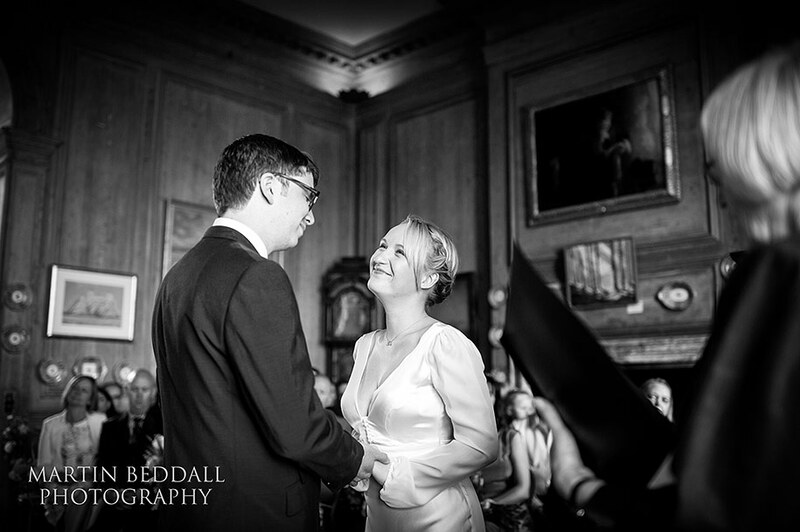 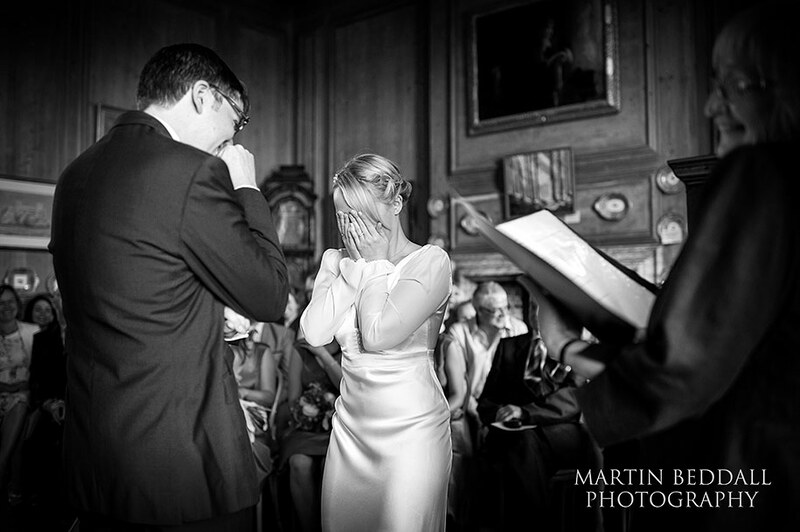 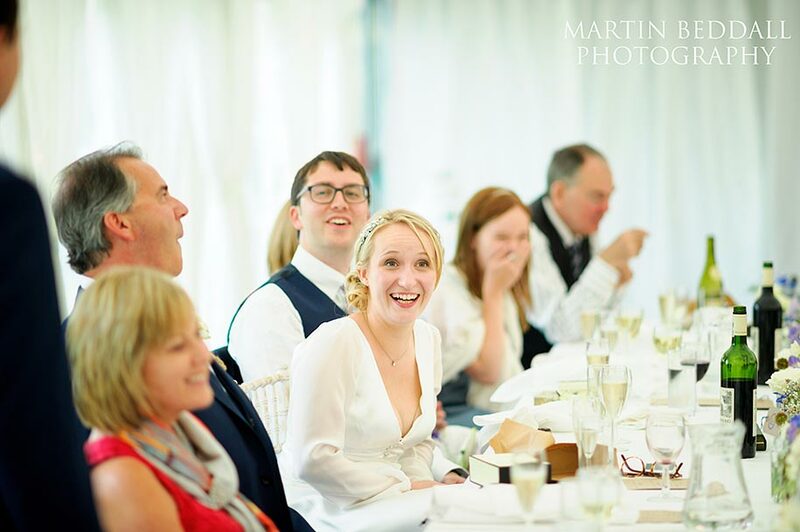 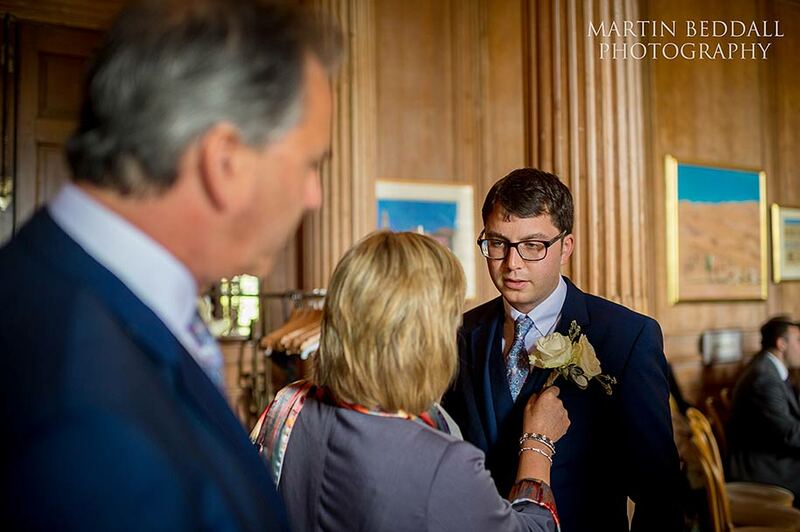 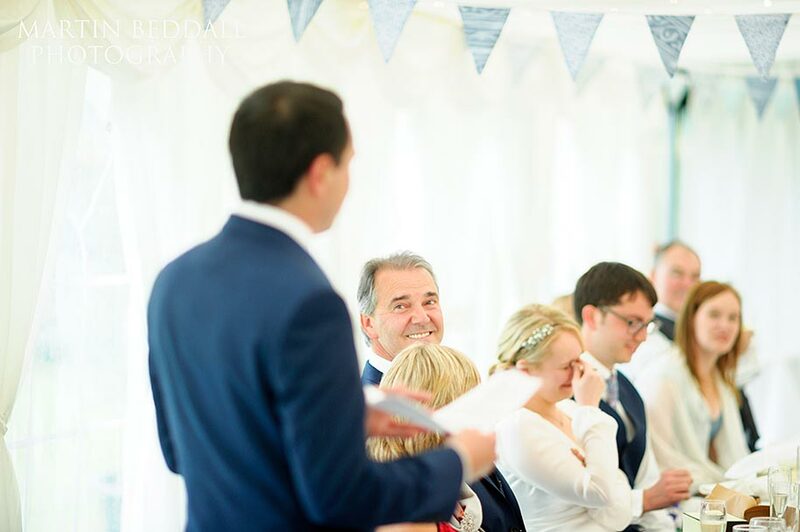 I especially love the photos taken during the ceremony- they capture the emotion perfectly, particularly when I forgot my vows! 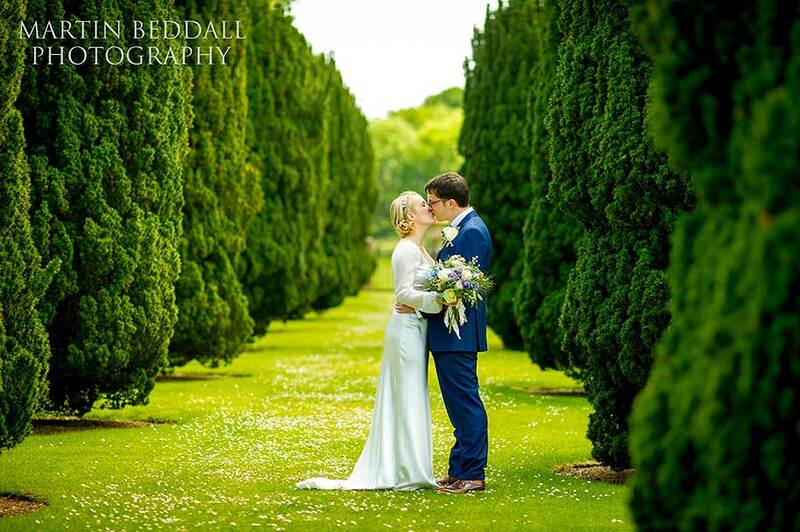 Thank you so much for capturing an amazing day. 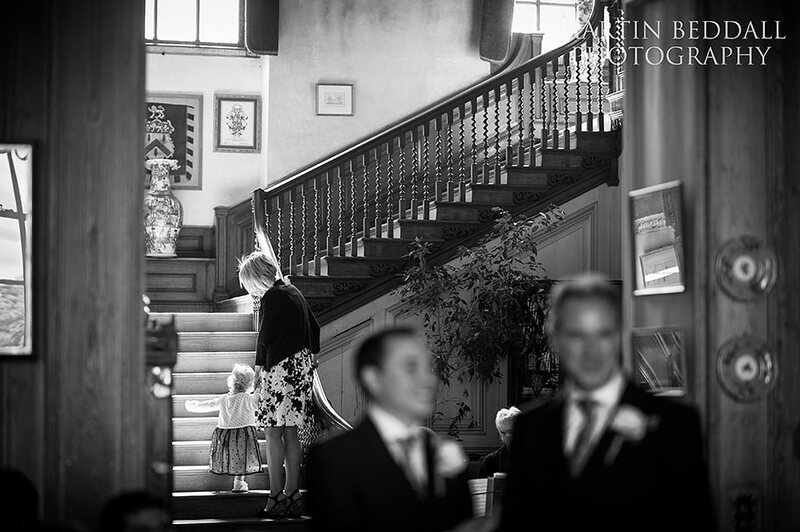 Wonderful tones and textures. 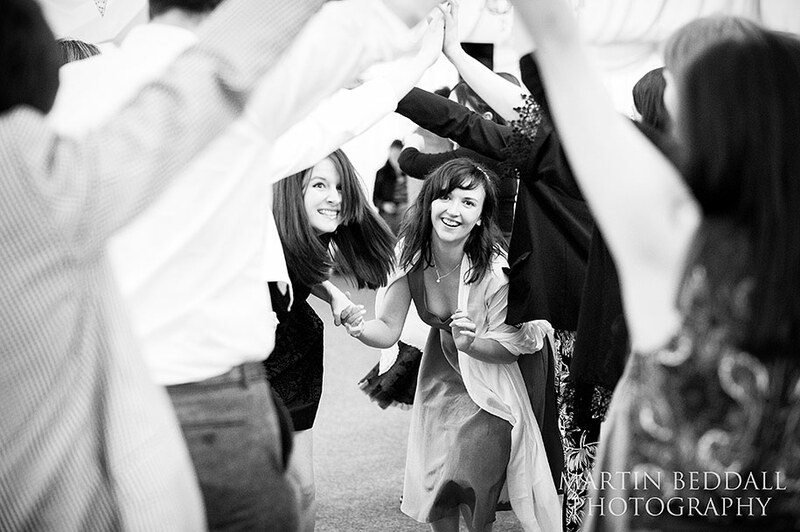 So much atmosphere and energy captured too. 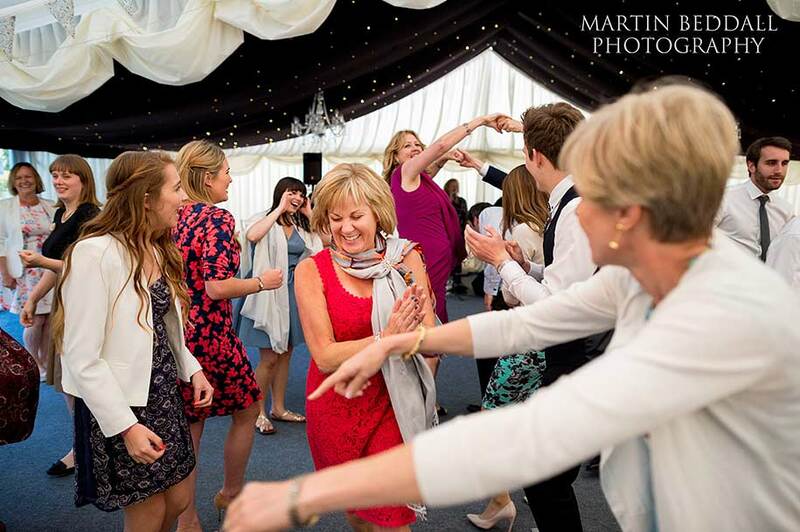 Great stuff. 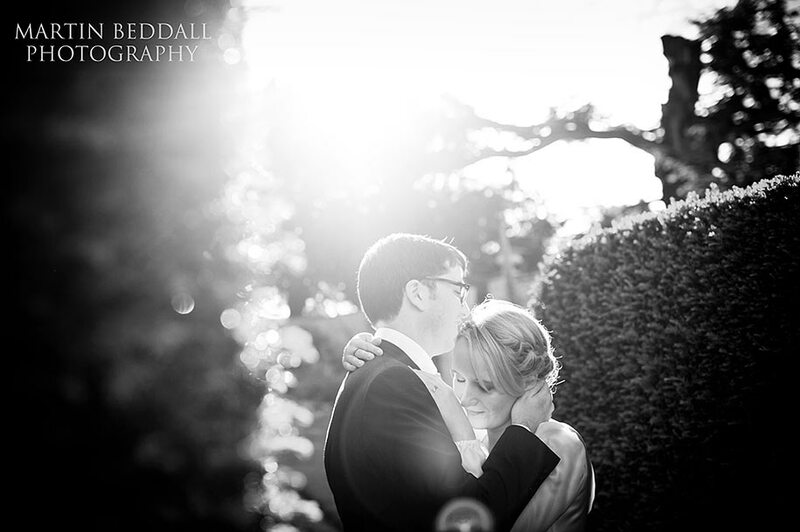 Beautiful light and amazing story telling. 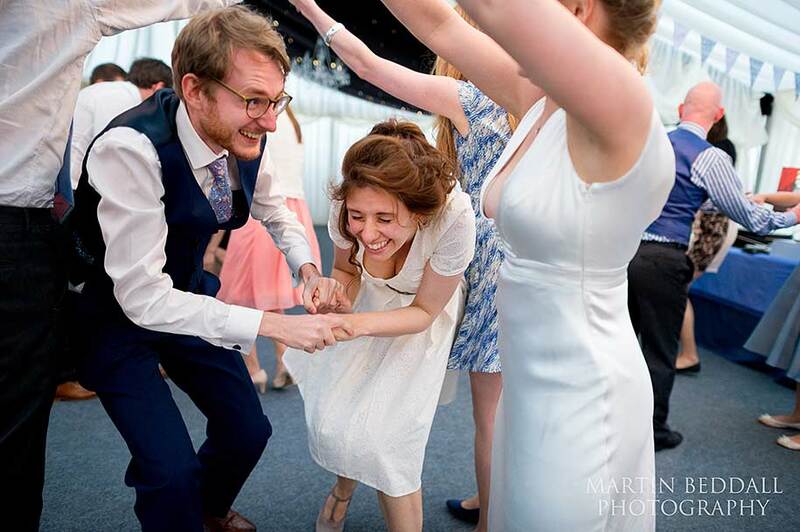 Great work, Martin. 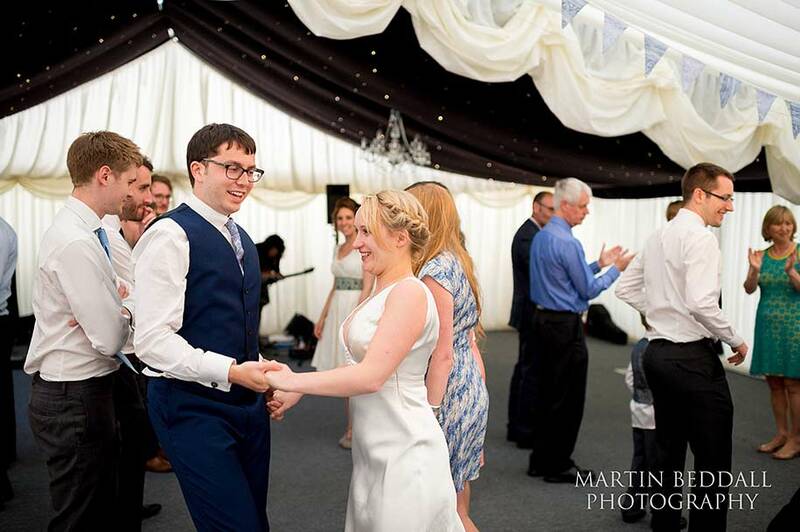 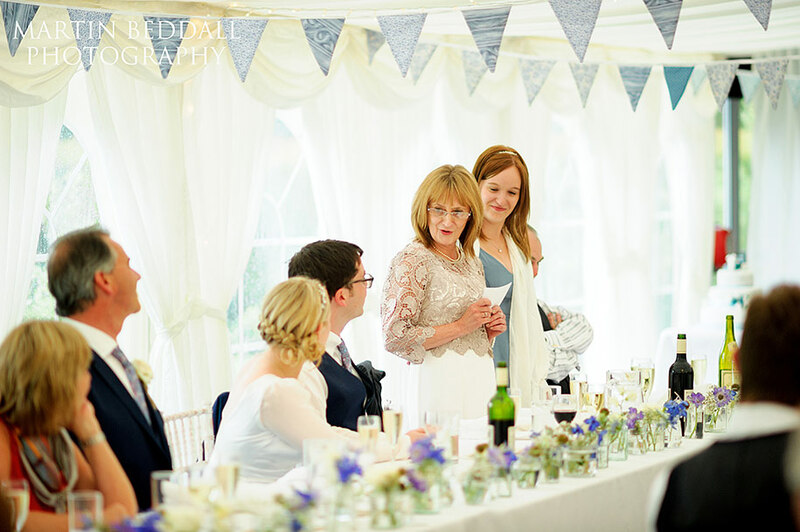 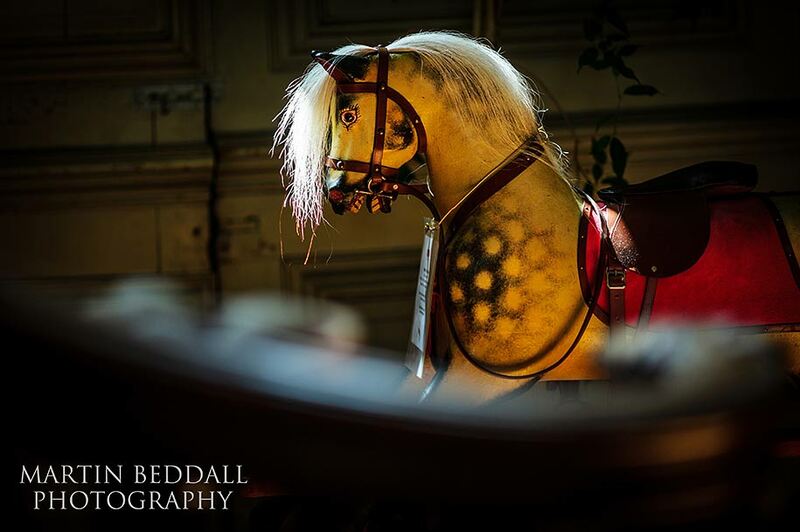 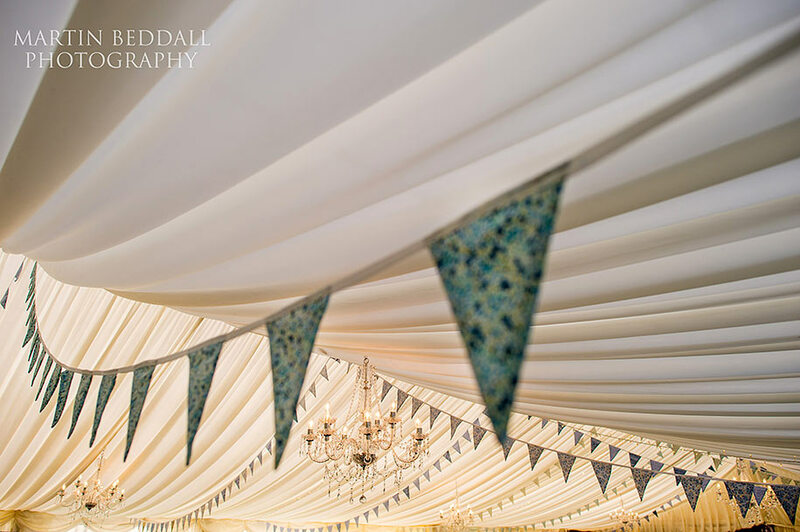 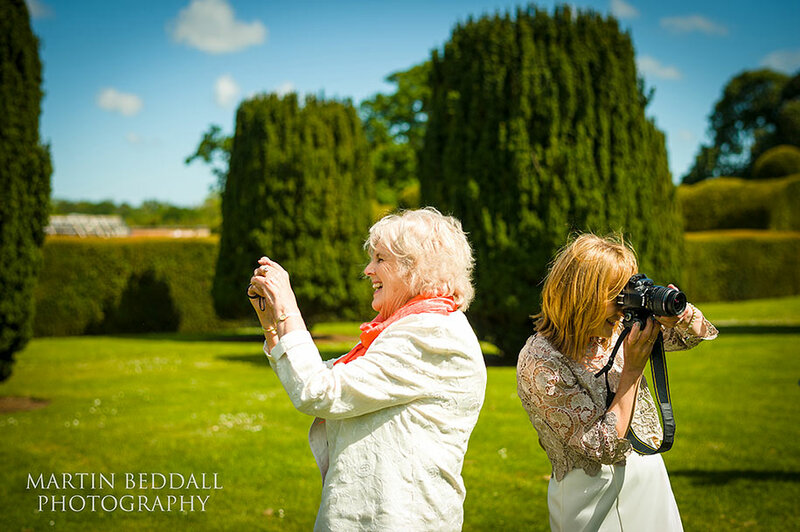 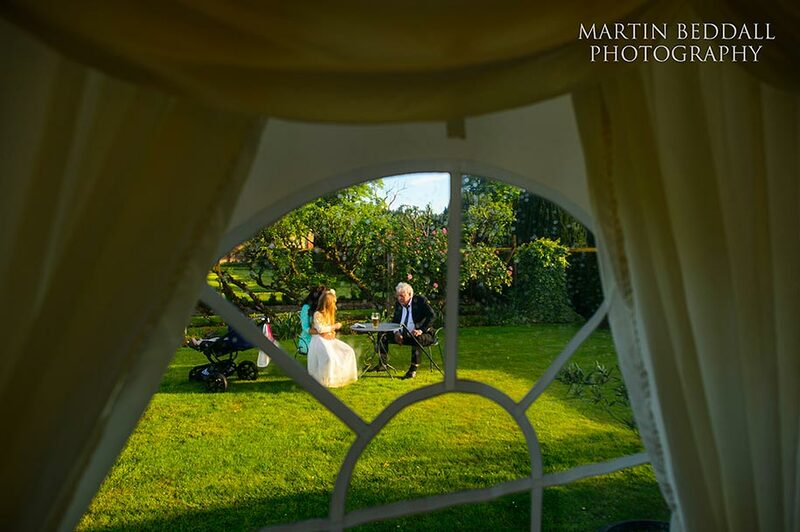 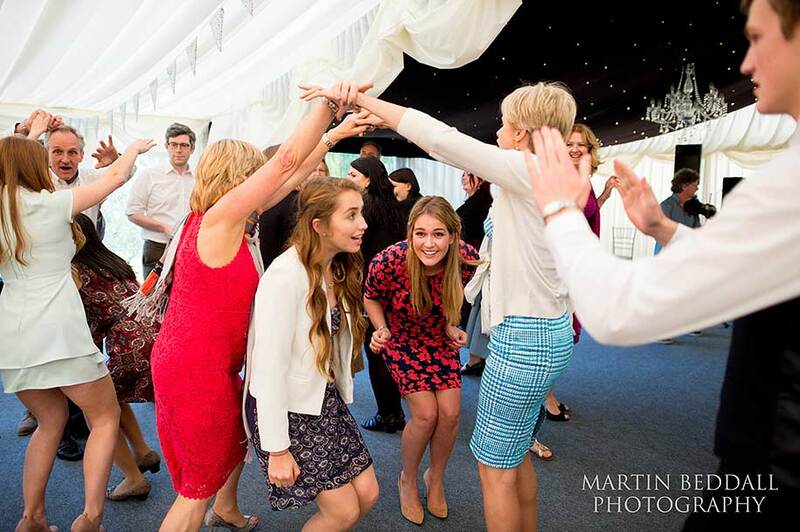 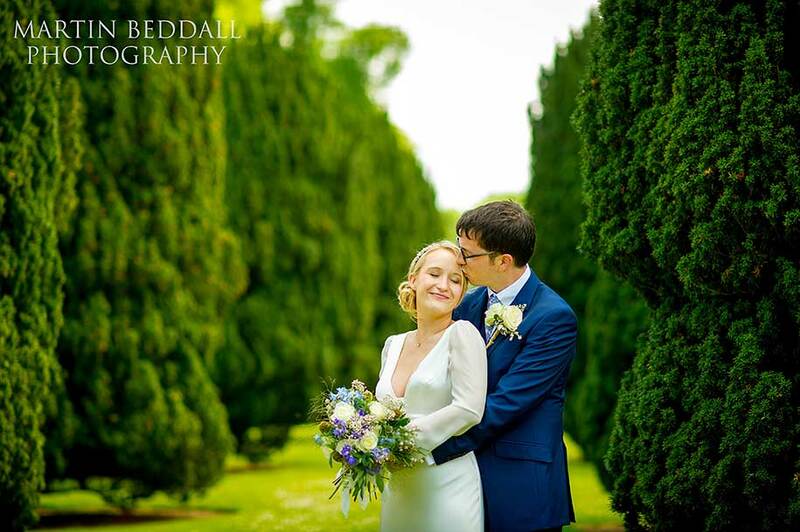 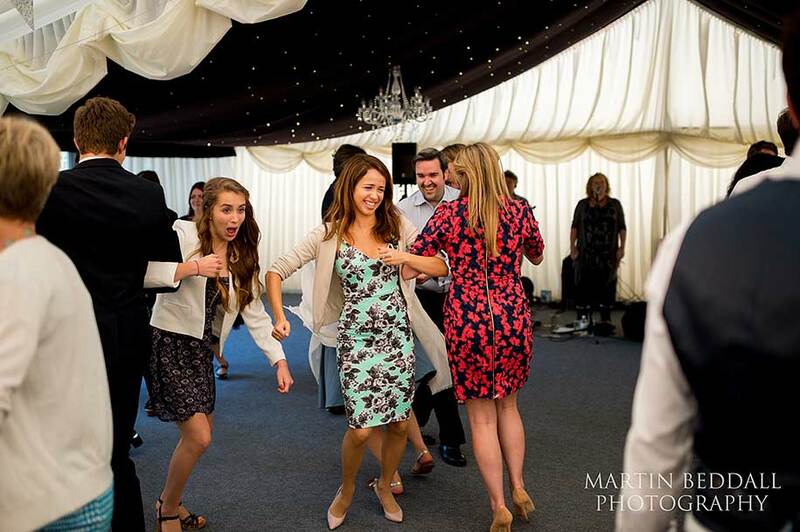 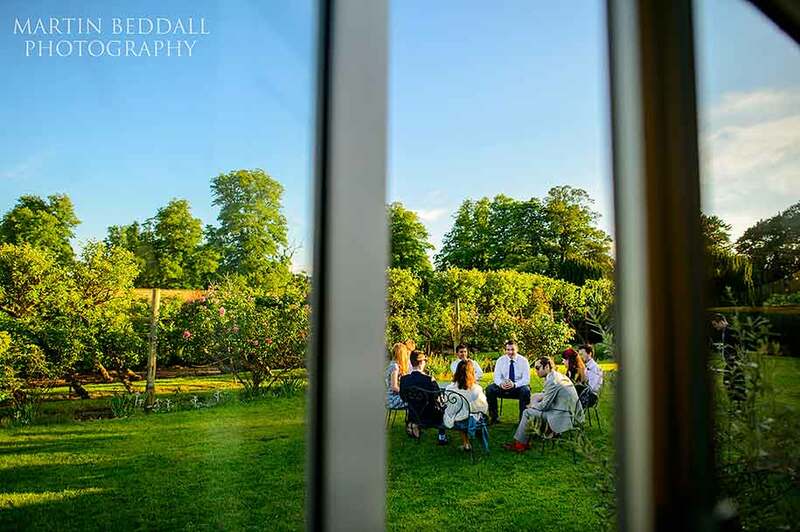 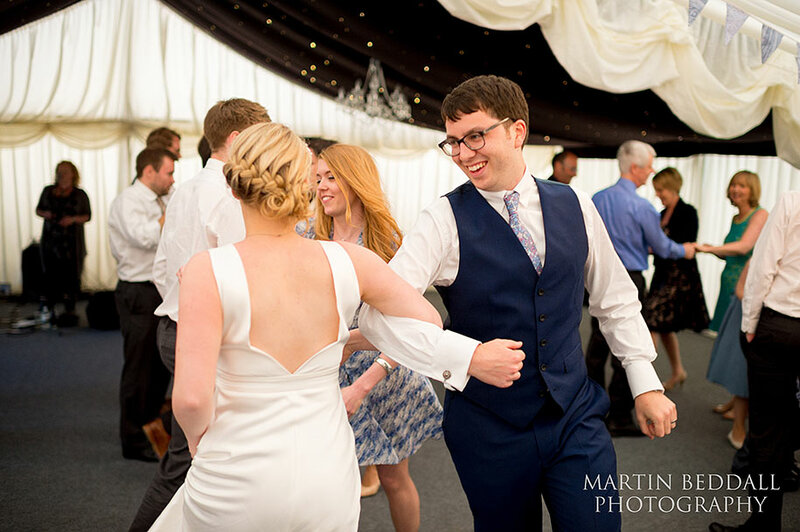 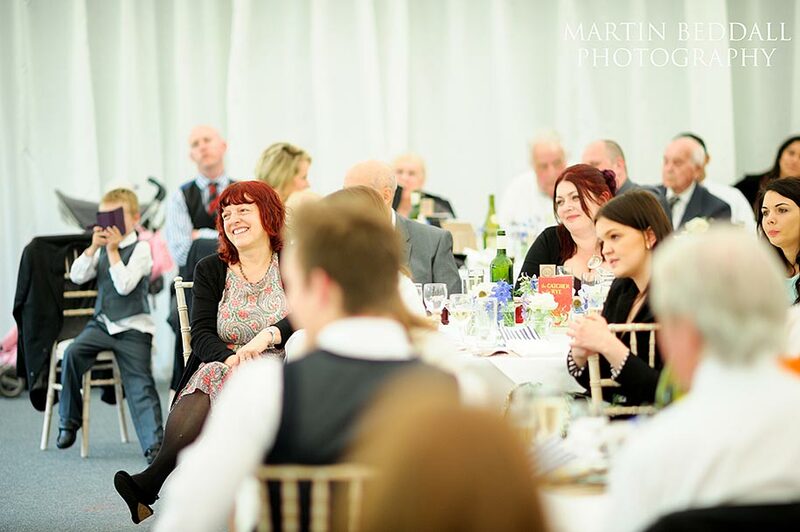 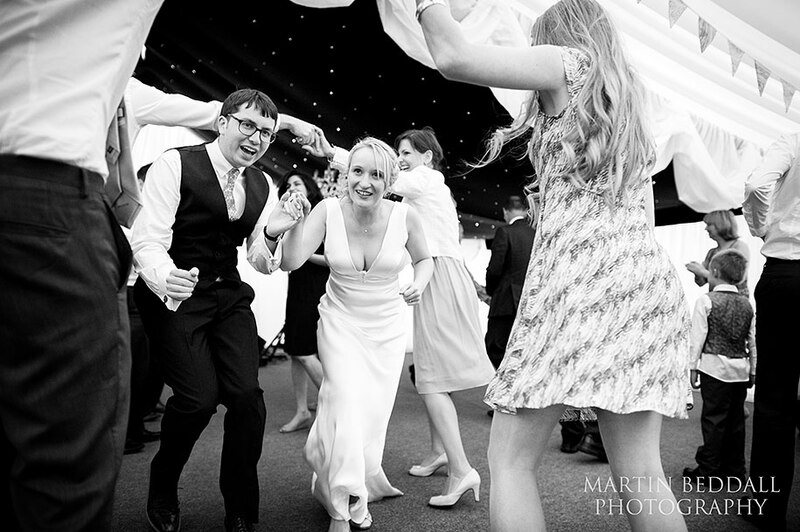 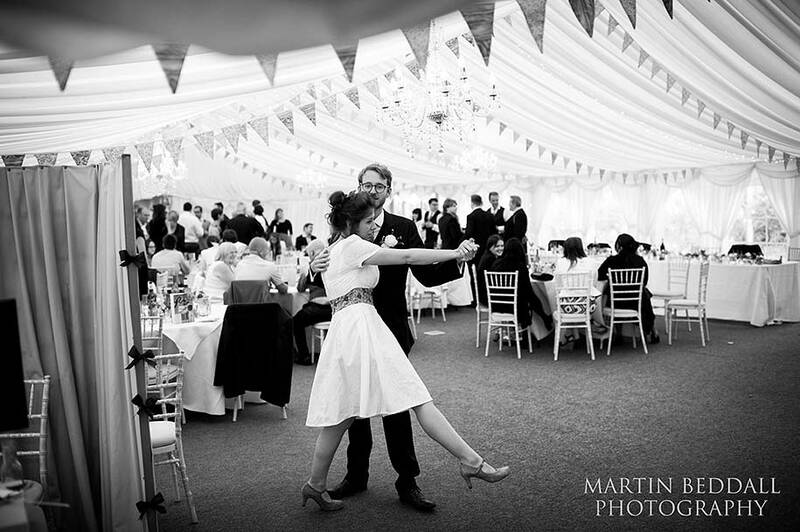 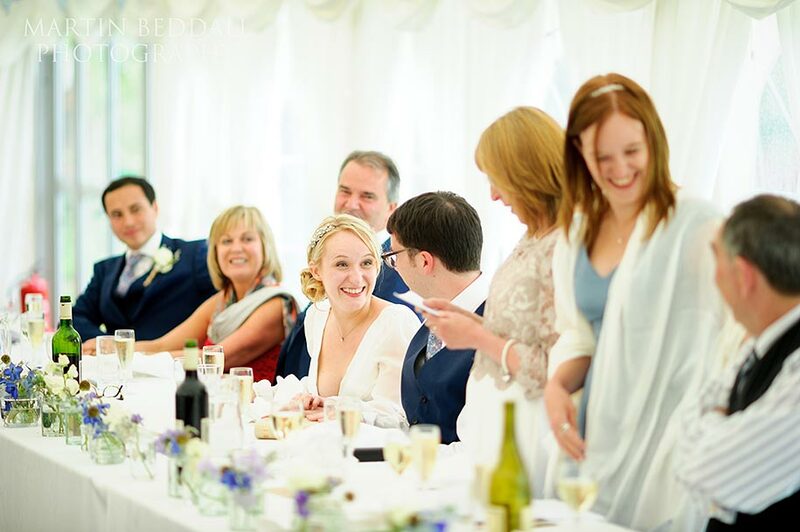 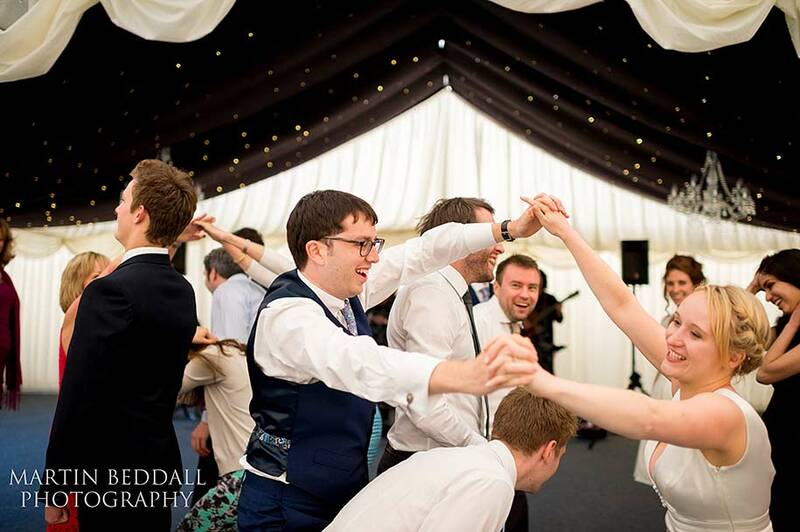 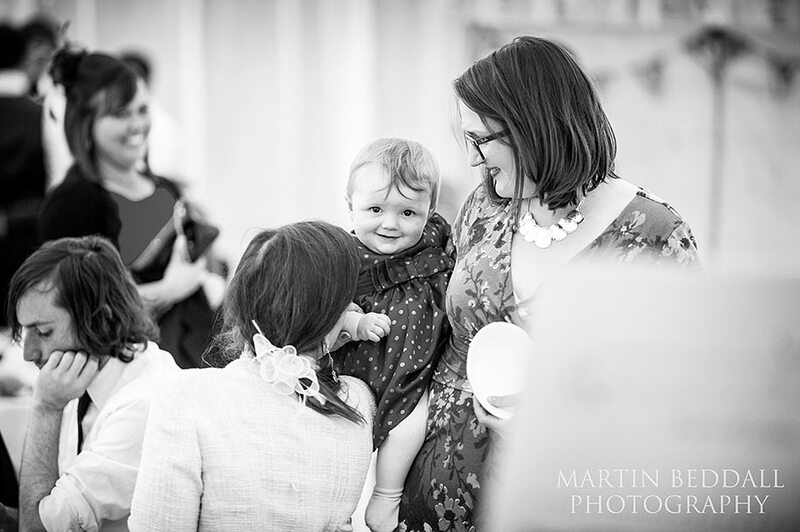 Fantastic remarkable photographs that have truly captured the excitement, fun and essence of what was the most stunning day.